Small and powerful. 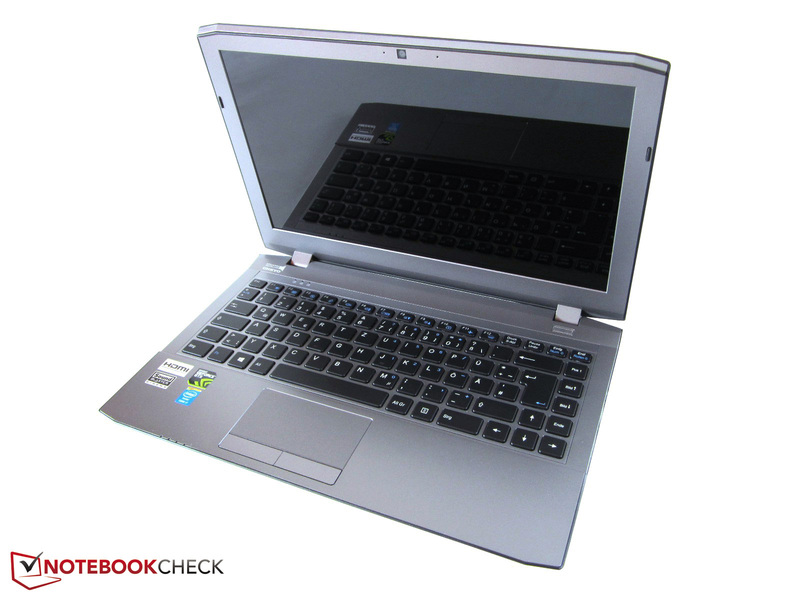 Small and/or thin gaming notebooks have become increasingly popular amongst notebook users. 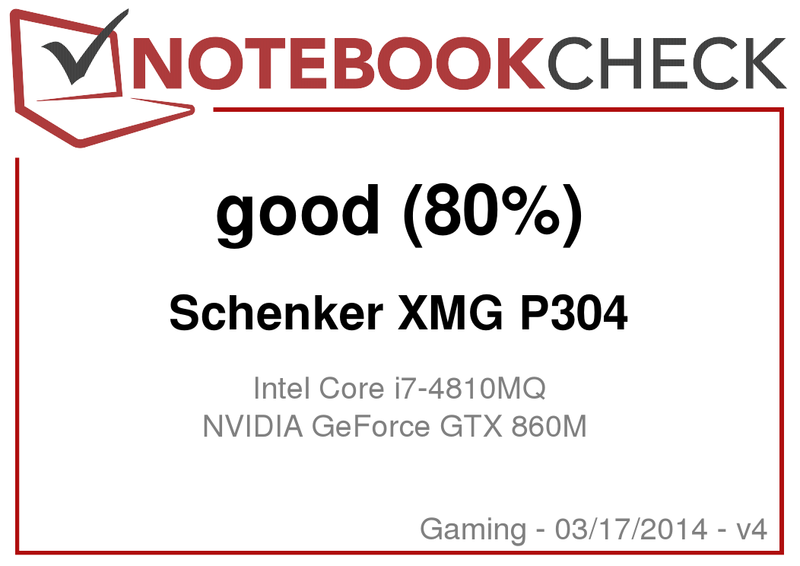 Besides the Alienware 14, Razer Blade 14, MSI GE40 and Gigabyte P34G, the Schenker XMG P304 targets the same customers. 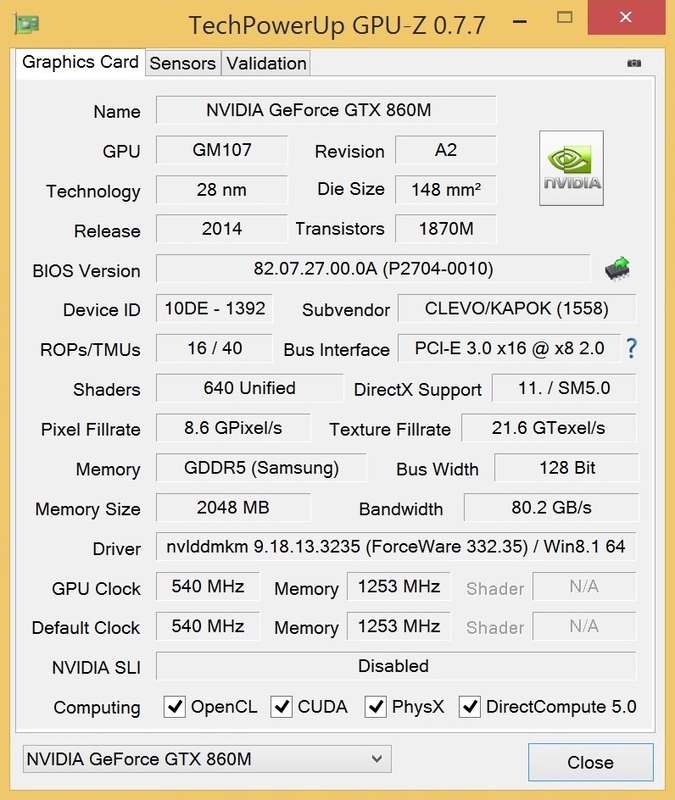 A strong argument for the 13-inch device is Nvidia's brand-new GeForce GTX 860M. 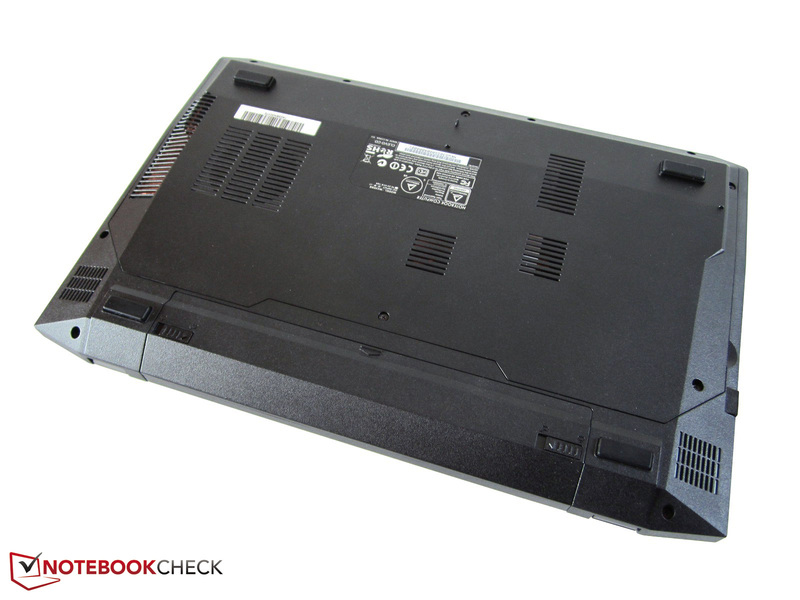 Schenker Technologies uses the W230SS barebones from the Taiwanese gaming experts Clevo for its XMG P304. We already reviewed the W230ST in the form of the One K33-3E last year. The configurability on the manufacturer's homepage mysn.co.uk is very similar to the XMG P303, which is more or less identical in terms of case and components except for the graphics card (GTX 860M vs. GTX 765M). 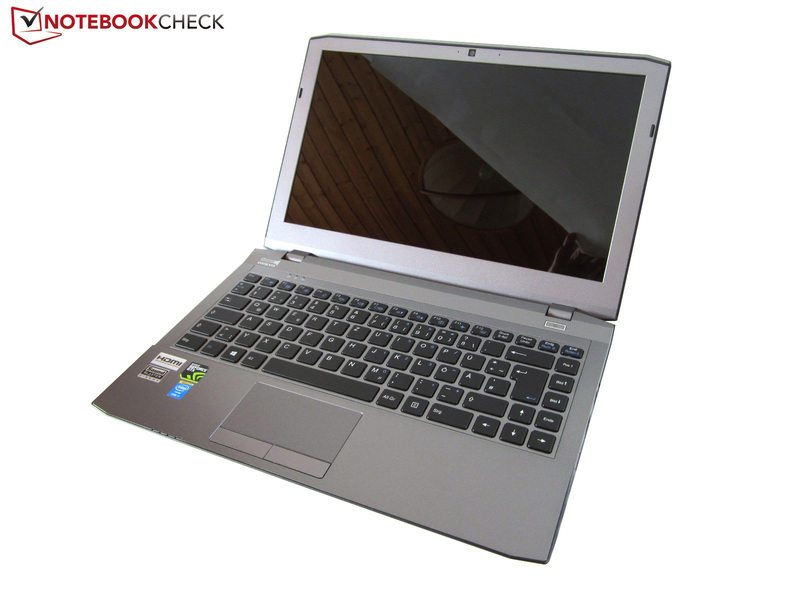 According to the barebones manufacturer Clevo, the 13-inch device supports pretty much all processors from Intel's Haswell generation, starting with the inexpensive entry-level model Core i3-4000M (dual-core @ 2.4 GHz) all the way up to the prestigious high-end version Core i7-4900MQ (quad-core @ 2.8-3.8 GHz). The cooling system has a lot of work and the expensive CPU's are usually not that much faster, so we would recommend that you select a Core i7-4700MQ (TDP of 47 Watts) or Core i7-4702MQ (TDP of 37 Watts) at most. Clevo also offers different displays and you can choose a WQHD (2560x1440) or even a QHD+ panel (3200x1800) if the standard Full HD resolution is not enough for you. The storage solution is also very comprehensive: Under the bottom cover are two mSATA slots and one 2.5-inch drive bay for HDDs, SSDs or hybrid drives. 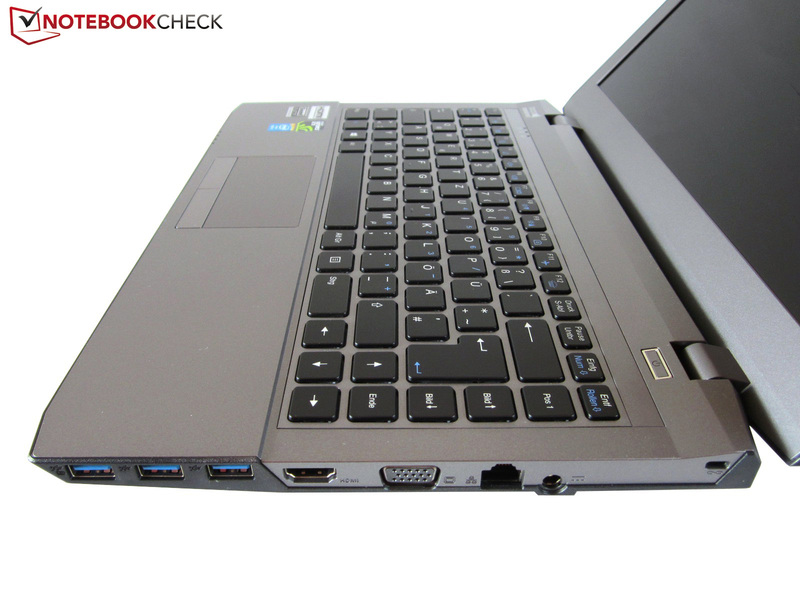 The two DDR3 memory slots can be equipped with up to 16 GB RAM, and there are different options for the keyboard, wireless adaptor and the operating system. 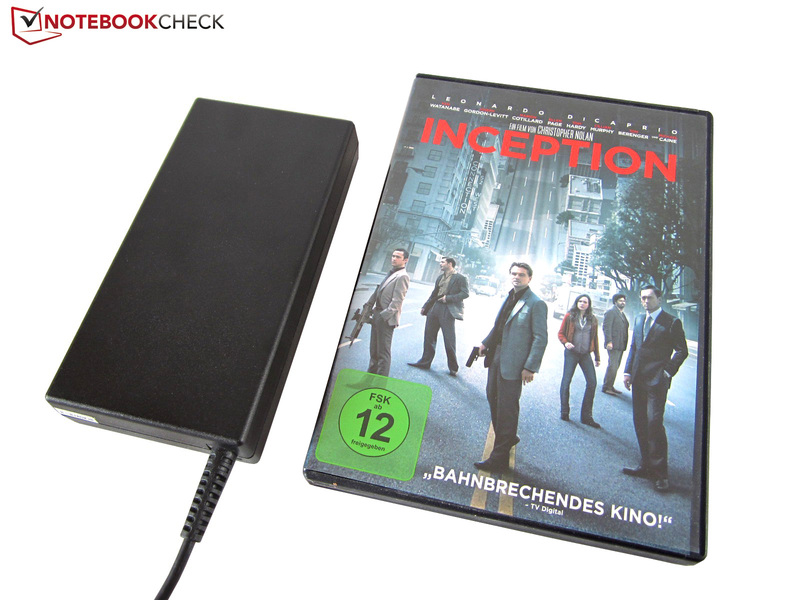 Clevo had to waive the optical drive due to the limited space, but Schenker offers external drives (DVD burner or Blu-ray burner) for an additional charge. Our review unit costs more than 1,600 Euros (~$2200; base price: 879 Euros, ~$1210). 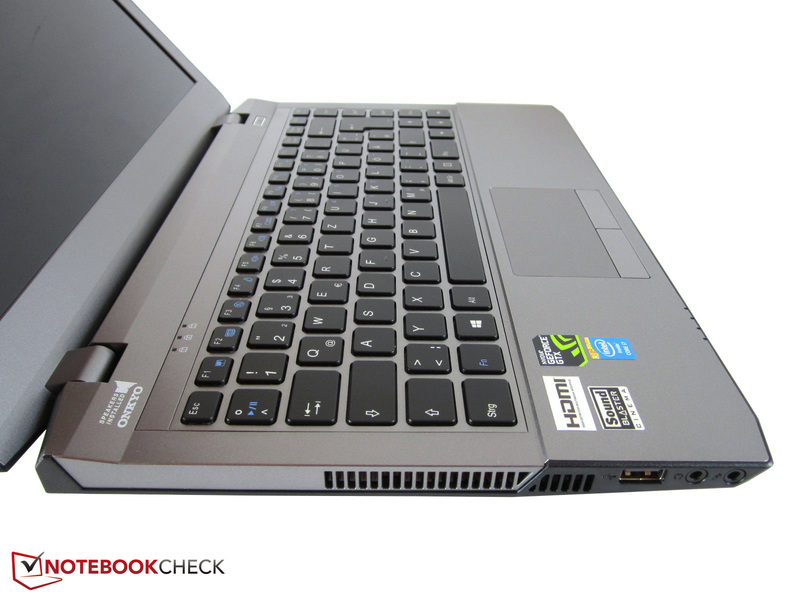 Our review shows if the XMG P304 can justify this price. 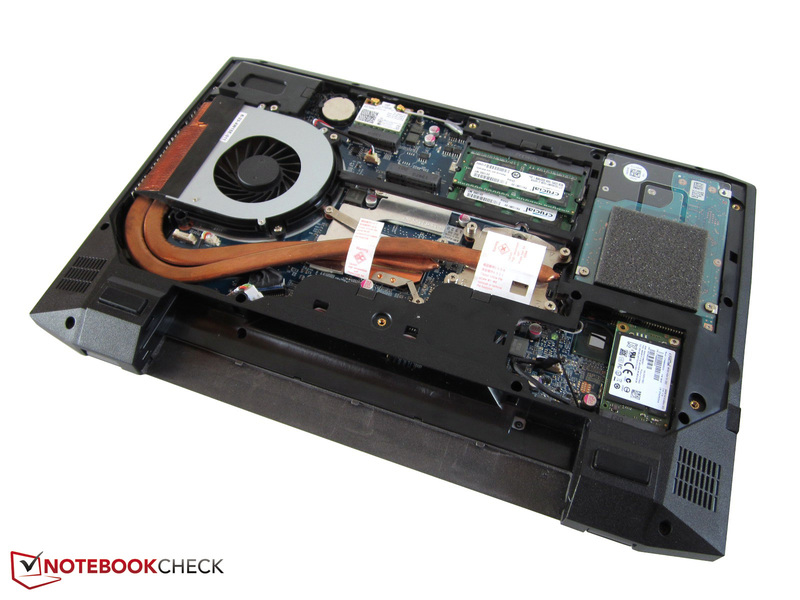 The W230SS barebones is around 3.5 centimeters (~1.4 inches) thick and therefore right in the middle between the Alienware 14 (~4 centimeters; ~1.6 inches) and the thin gaming rivals Razer Blade 14 and Gigabyte P34G with around two centimeters (~0.8 inches) each. It is similar in regard to the weight; 2.1 kilograms (~4.6 pounds) are pretty close to the latter notebooks (1.8 to 1.9 kilograms; ~4.0 to 4.2 pounds) while Alienware's 14 falls behind in terms of mobility with a weight of 2.9 kilograms (~6.4 pounds). The quality of the XMG P304 leaves a decent to good impression. The plastic surfaces are well integrated but cannot match the quality of the three rivals. We are not so sure about the decision to rubberize the display cover. 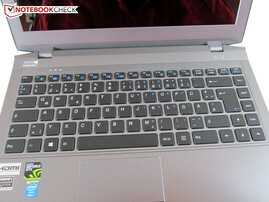 The Soft-Touch finish feels very good but quickly attracts fingerprints. The silver-gray surfaces on the inside and the matte black bottom on the other hand, are not as susceptible to dirt. We also like the design of the notebook. Several color and shape transitions create a modern appearance. Other Clevo barebones like the P150SM, W355STQ or W650SR are much simpler. 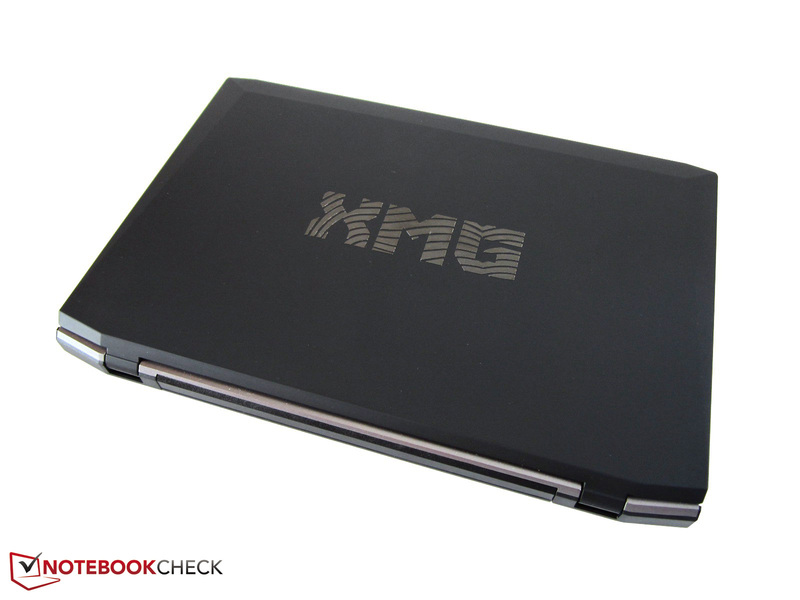 The XMG P304 leaves a good impression in terms of stability. 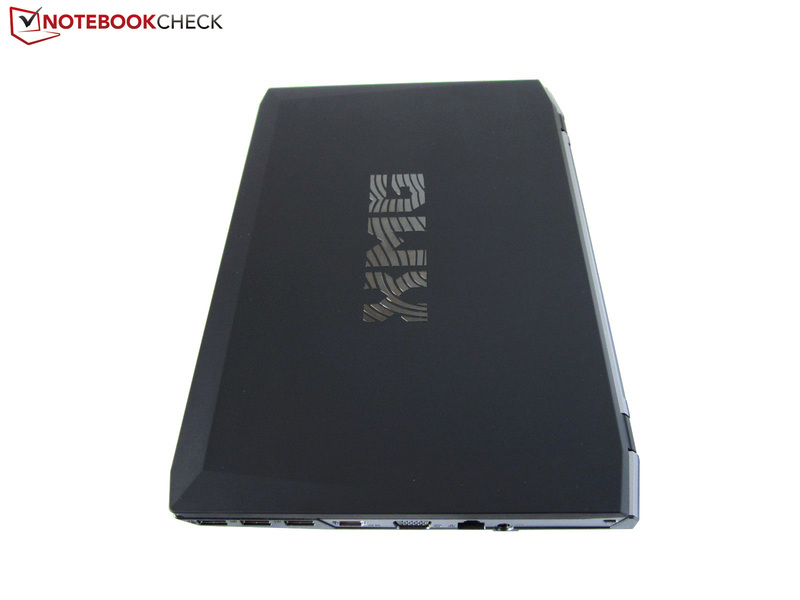 Thanks to the slightly thicker chassis, it is pretty pressure resistant. Only the lid could have been more torsion-resistant. It can be opened with one hand (only slight movement of the base unit) but the hinges are strong enough to compensate light vibrations at the same time. Despite some discrepancies (more on that later) you get a decent port variety. 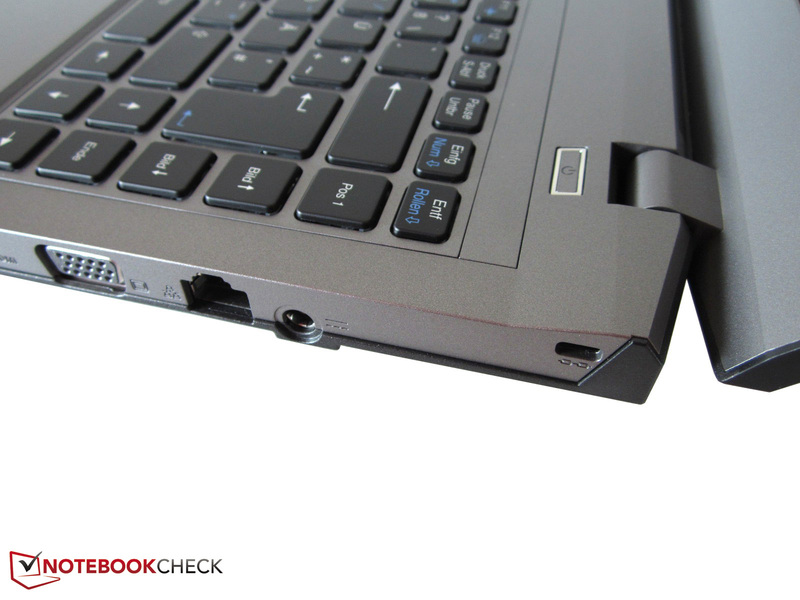 Clevo equips the W230SS barebones with four USB ports and three of them support the fast 3.0 standard. External displays can be attached via analog VGA or digital HDMI ports. Sound can obviously be transmitted as well: The stereo jack can be used with headsets or speakers (3.5 mm). A card reader and a slot for a Kensington Lock are available and the RJ-45 Gigabit LAN port can be used to communicate with networks. The biggest drawback is certainly the port layout. 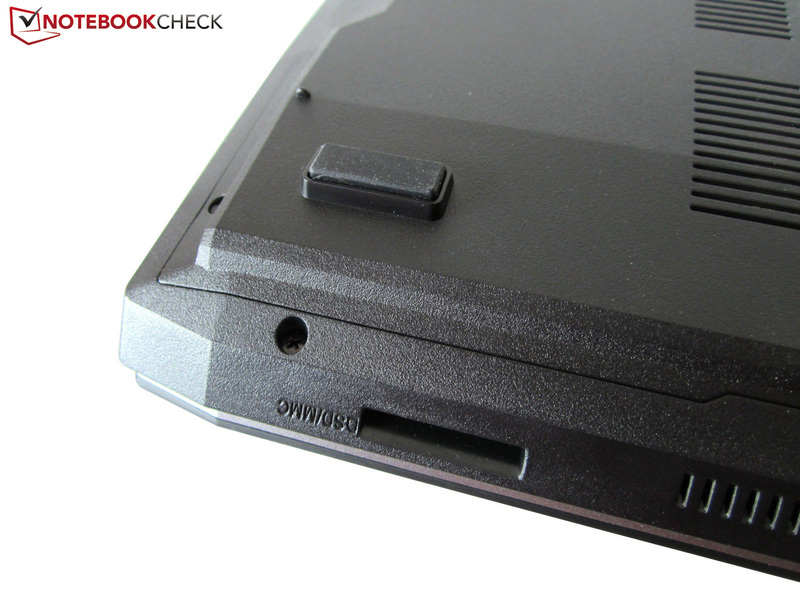 Most of the ports are at the front half of the notebook, so you will lose a lot of space when you attach several cables. Especially right-handers will notice this problem. The XMG P304 is also not ideal if you want to use a mouse on the left side because the fan exhaust is in the middle and the warm air will hit your hand, which is annoying during 3D operation. 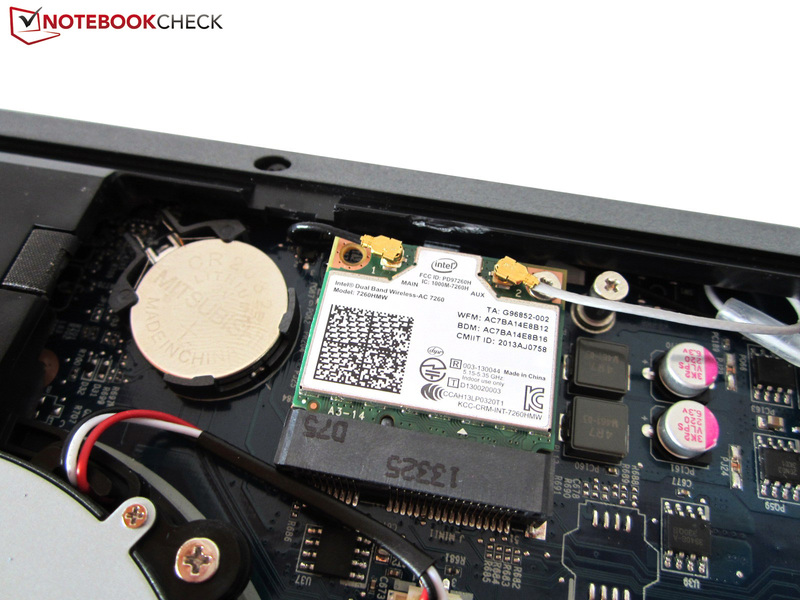 Our review unit uses an Intel dual-band Wireless-AC 7260 adaptor. It does not only support WLAN 802.11 b/g/n but also the latest ac-standard with up to 867 Mbps. You can use 2.4 or 5 GHz networks and the chip supports Bluetooth 4.0 as well. We really want to praise the uncomplicated maintainability. Just loosen four Philips screws and you can remove the bottom cover from the chassis. 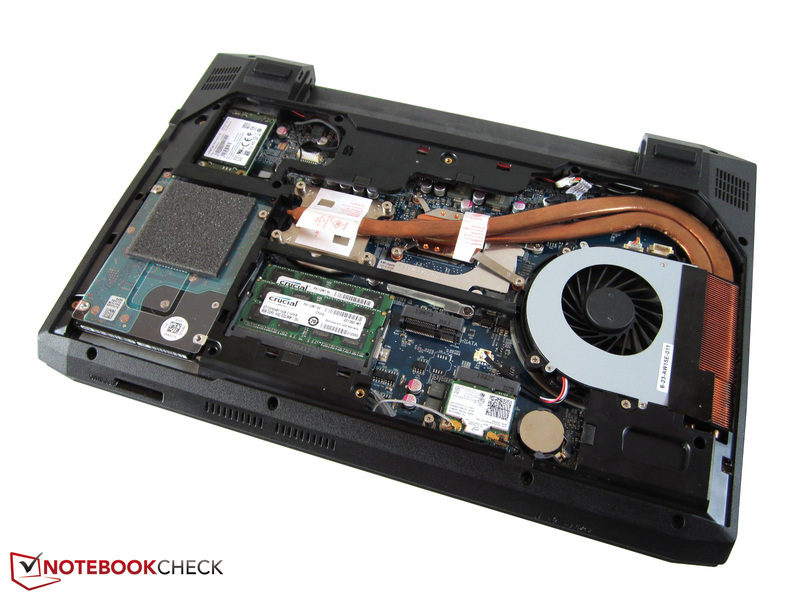 While you only gain access to the hard drive, the wireless module and the memory in other notebooks, the XMG P304 also reveals the fan and the cooling solution. The graphics card and processor have one heat pipe each that transport the heat to the fan (see pictures on the right side). You can only upgrade the processor, the GeForce GTX 860M is soldered onto the mainboard. As usual with Schenker, you get a very clean installation. 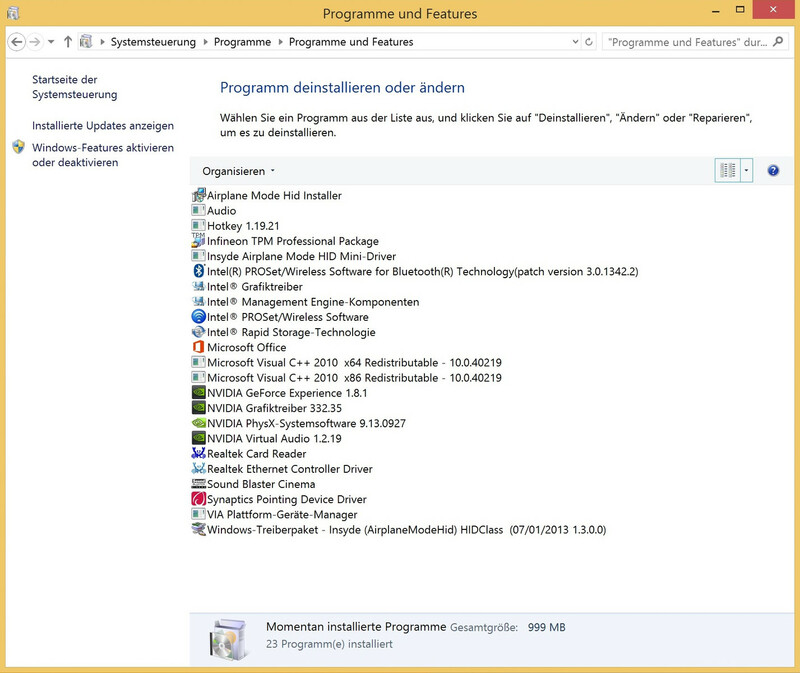 Annoying bloatware is not preloaded, just like unnecessary manufacturer tools. Clevo only installs an application called Control Center, which lets you choose between different operating modes like Silent, Energy-Saving, Performance and Entertainment. The three available tabs include settings for the display brightness or the volume, for instance. Standard equipment includes a 325 g/11.5 oz 6-cell battery and a 120-Watt PSU with a weight of 462 g/16.3 oz (147 x 74 x 26 mm; ~5.8 x 2.9 x 1.0 inches). Otherwise, there was just a driver DVD in the box of our pre-sample. The 24-month standard warranty can be extended to three or four years. 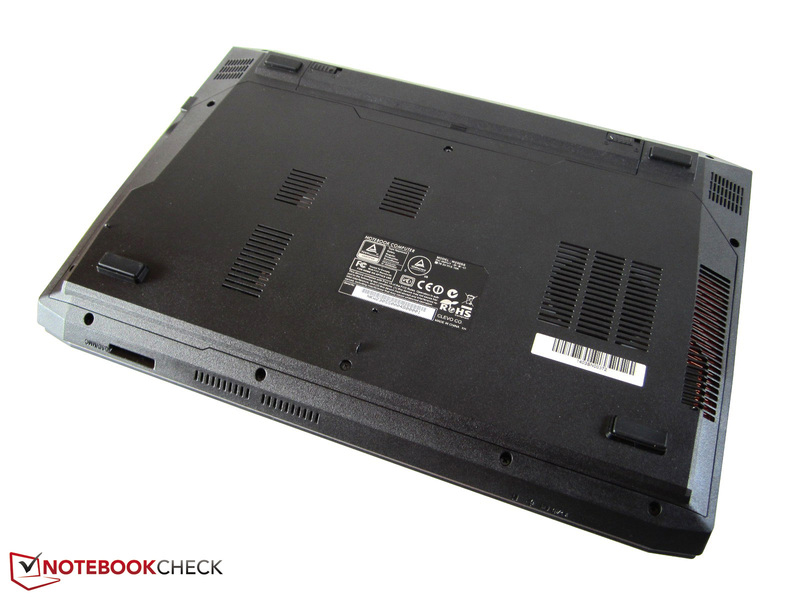 Schenker promises a Pickup & Return service as well as an Instant Repair, even though the latter is not available for the whole warranty period. 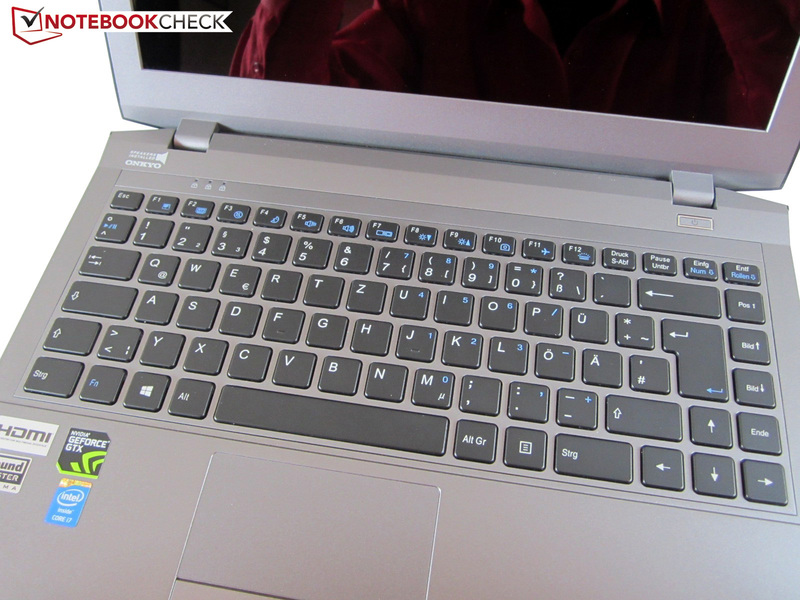 Clevo uses different keyboards for its barebones. 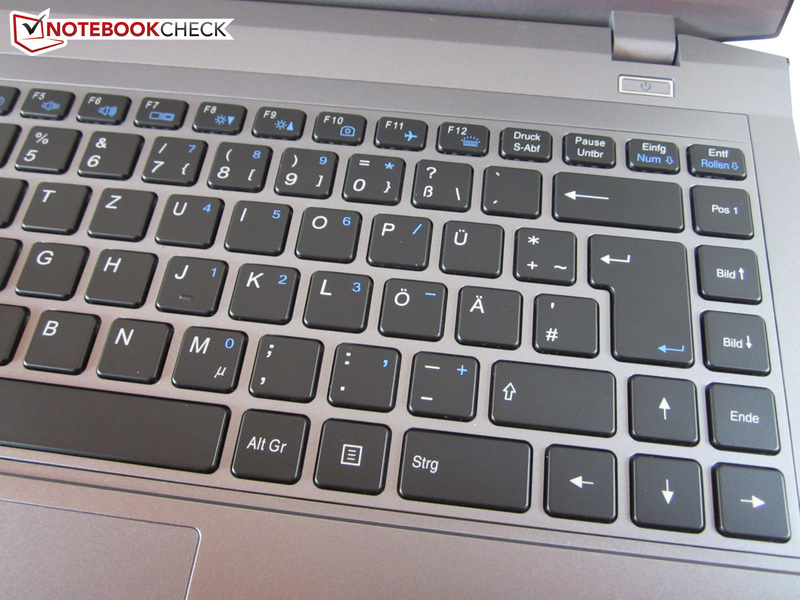 While some notebooks have very crowded keys (compare the XMG P703), the W230SS has a chiclet keyboard. The island style layout, the rounded corners and the clear lettering minimize typos and ensure a convenient handling. 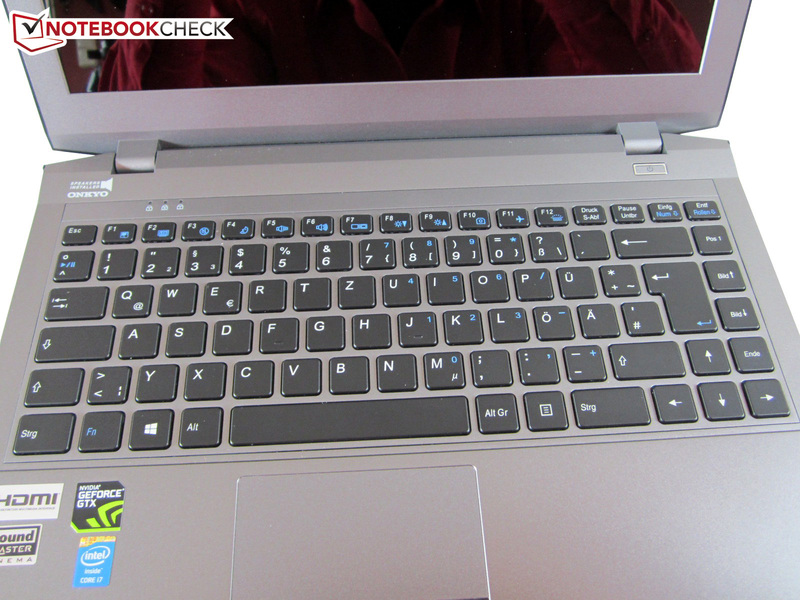 Apart from the narrow F-row all the keys are at least 14 x 14 millimeters; even the arrow keys have a decent size. Great: Contrary to the non-chiclet version, you get a full-size Return key and there are no deviations from the standard layout. Clevo integrated a number pad into the main keyboard, which can be used via Fn key, to compensate the missing separate numeric keypad. Fn also enables some special features like the activation and deactivation of the touchpad, sound, display, webcam, wireless module as well as the illumination. Illumination? 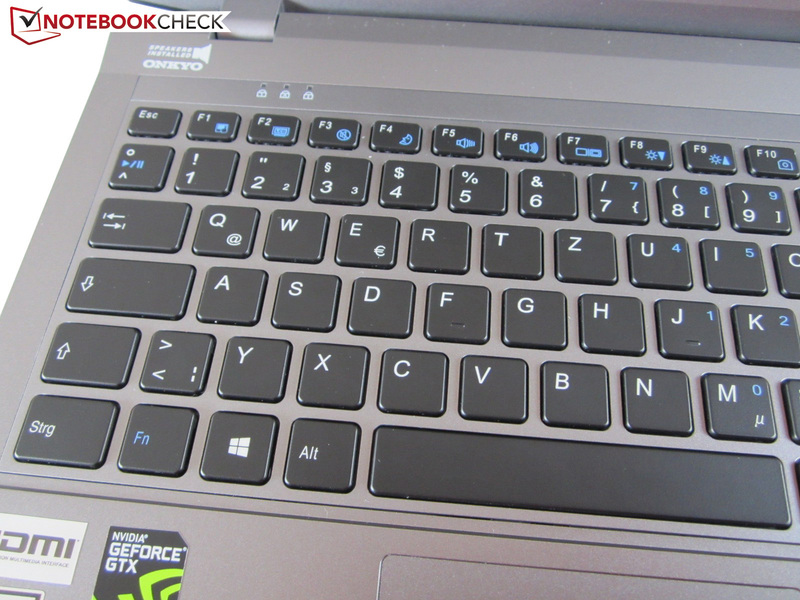 Yes, that is correct: The XMG P304 is equipped with a backlit keyboard. The white illumination is evenly distributed and can be adjusted in two steps. The keyboard functions well, most inputs worked perfectly. The mouse replacement cannot quite keep up with the keyboard. Even though the Synaptics V7.2 supports multi-touch gestures and offers a smooth surface, you should attach an external mouse. The main problem is the small size; 85 x 45 millimeters (~3.3 x 1.8 inches) are not very generous. The touchpad is acceptable in the other disciplines. You can turn, zoom or scroll contents with a two-finger gesture. 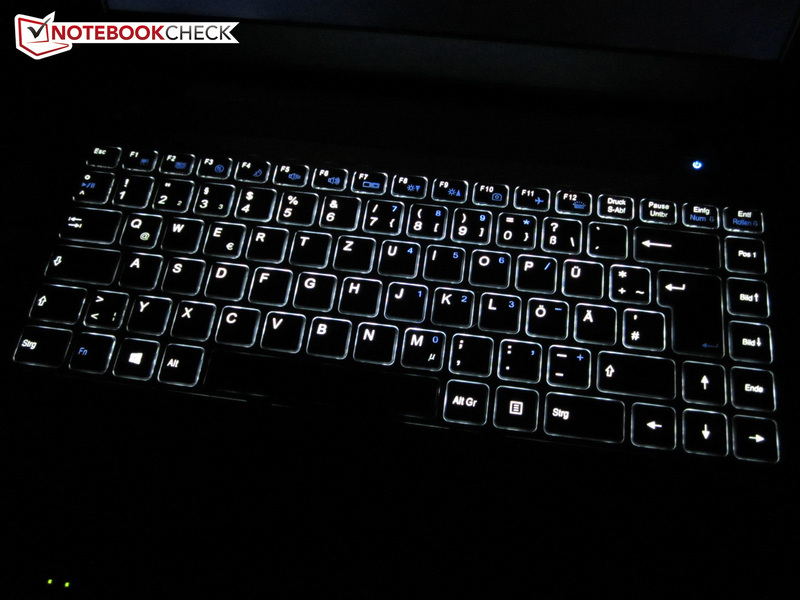 The handy scrolling bars at the right side and bottom are activated ex-works. Using the input works well if you overlook some dropouts. 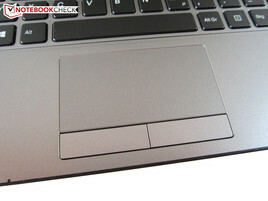 We are however not completely convinced by the touchpad, which suffered from clattery and wobbly buttons. 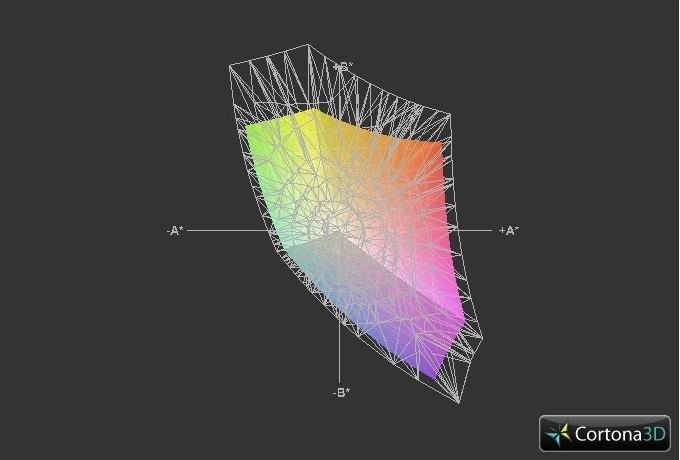 The trend towards higher resolutions is also noticeable in the gaming sector. As we mentioned earlier you can get an optional QHD+ display. Our review unit uses this panel and tries to attract some attention with the gigantic resolution of 3200x1800 pixels. Many readers will be eager to know if this resolution really works for a 13-inch device. The quick answer is yes and no. You get used to the very high pixel density very quickly, but there are some restrictions in practice. While most objects have a normal or at least sufficient size, some elements are also extremely small. This problem is not limited to Windows, but also applies for installed applications or tools, respectively. 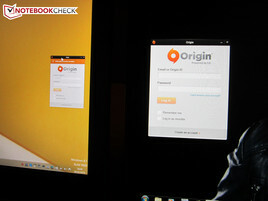 EA's gaming platform Origin, for instance, does not work really well with the combination of QHD+ and 13 inches. 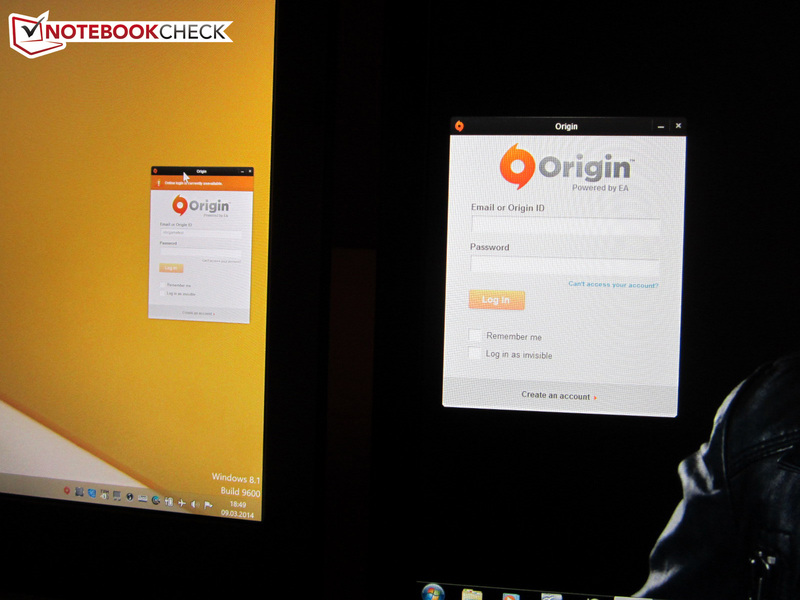 The login is so tiny that you actually need a magnifier. Too small fonts are a common issue, independent of the Windows settings and the size of the cursor can vary from application to application. Even though most games support 3200x1800 pixels, we would still recommend 1920x1080 in practice. First of all, it reduces the load of the GPU, and the scaling of the display is also very good and does not really affect the picture quality. The QHD+ panel is provided by Samsung and has the designation LTN133YI01L01 according to the tool AIDA. Thanks to the glossy surface, the picture appears very rich and colorful. Our measurements confirm the good first impression. A luminance of around 340 nits deserves credit, just like the contrast of almost 700:1. 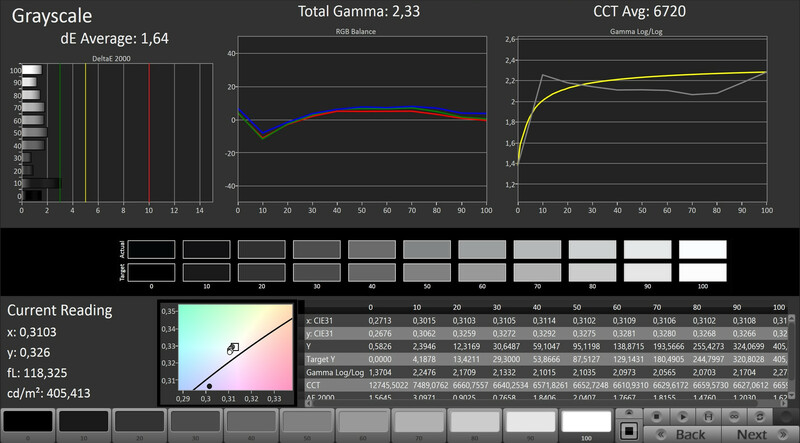 The brightness distribution is still sufficient (87%), but slight screen bleeding can be annoying in very dark scenes. Only the black value could have been better: 0.54 cd/m² are just average. We were positively surprised by the CalMAN results. 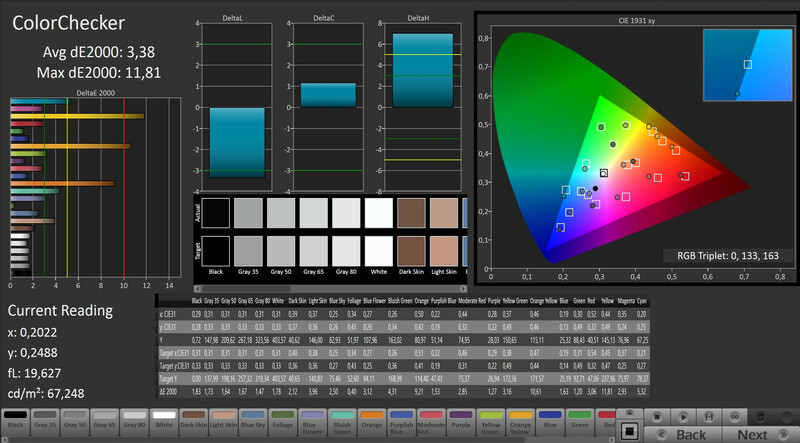 99% of the rivals cannot keep up in regard to the grayscale performance, gamma value, color balance, saturation and color accuracy. The QHD+ panel would also be a good choice for professional users, at least in theory. 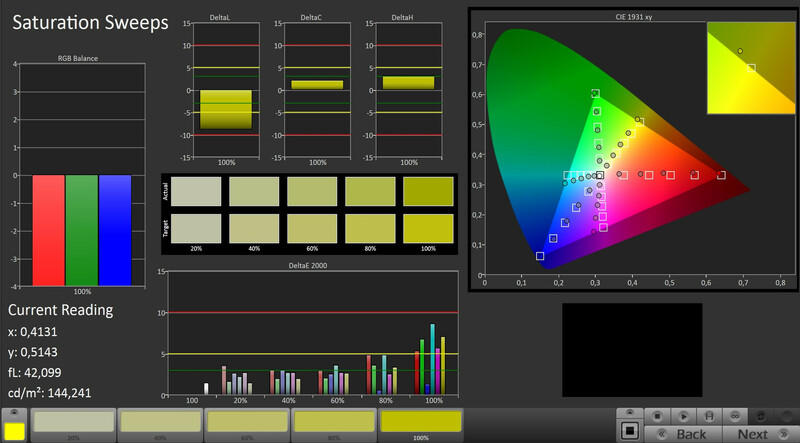 The available color space is underwhelming with just 62% sRGB and 42% AdobeRGB. 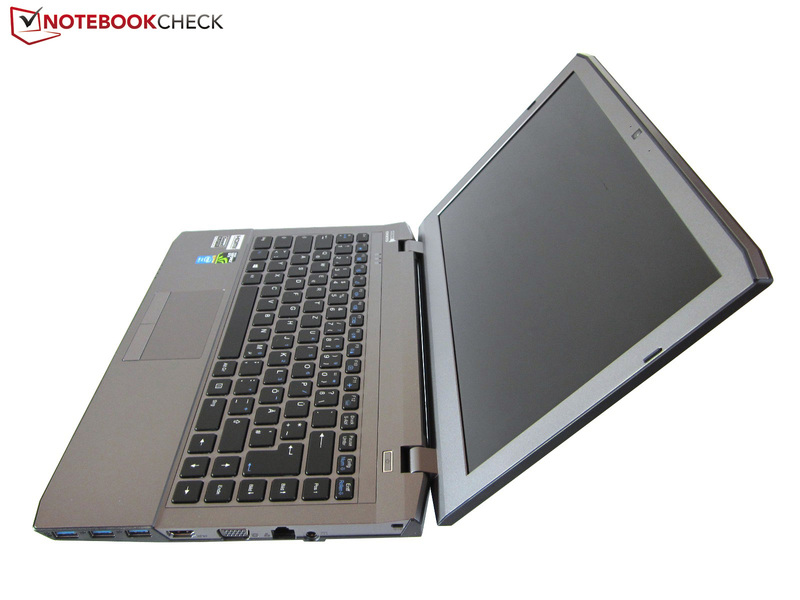 Some 13-inch displays like the Chi Mei CMN N133HSE-EA1 (Clevo W230ST) manage more than 90 and 60%, respectively. 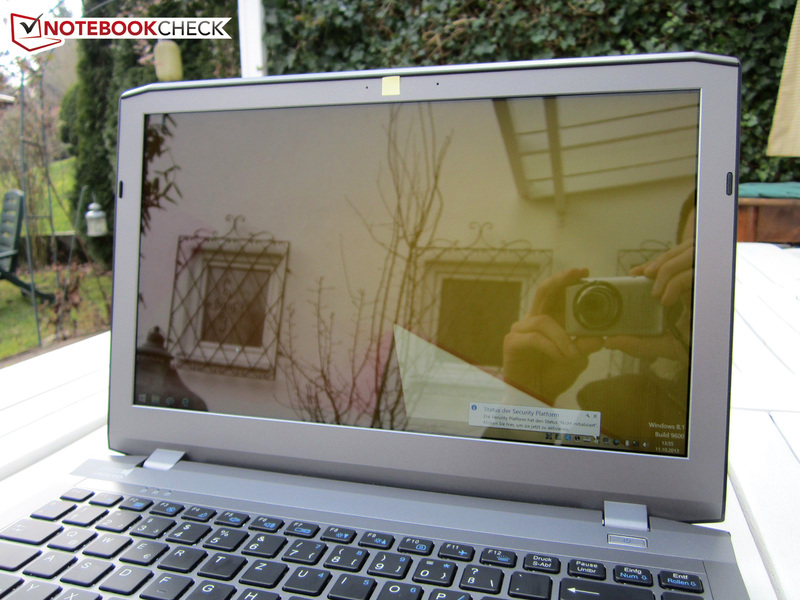 You should look for another device if you want to use your notebook outdoors. The glossy panel creates reflections, which can even be very annoying indoors depending on the daylight and the position. The viewing angle stability is typical for an IPS panel. 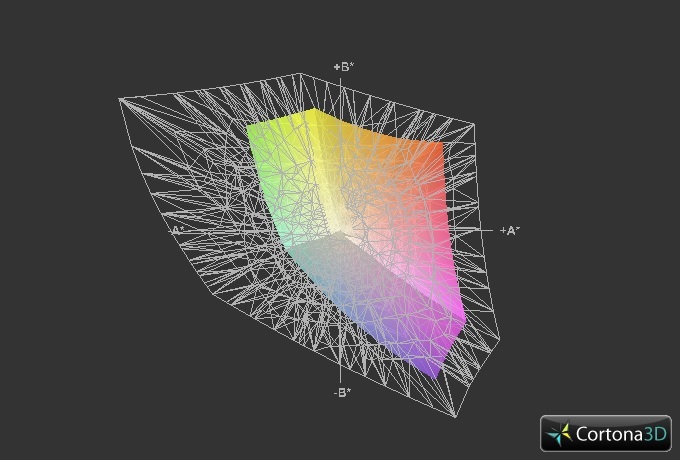 Colors do not distort as long as you do not look from an angle below or above. Besides the graphics card you also get an updated processor. However, the new quad-cores with a 10 at the end of the designation are hardly worth mentioning. 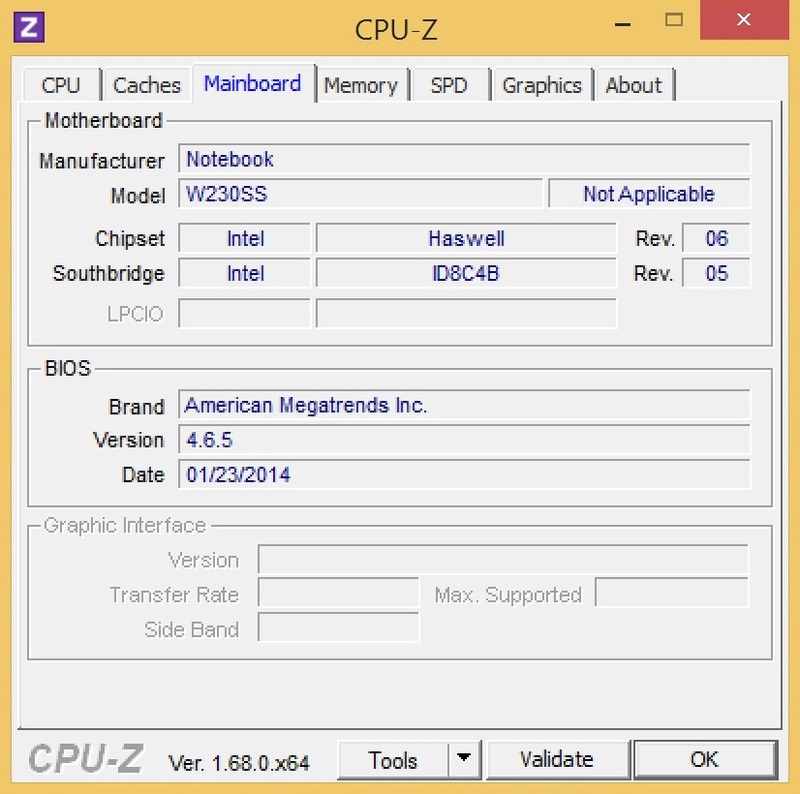 Intel only raised the nominal clock by 100 MHz compared to the 00-chips. 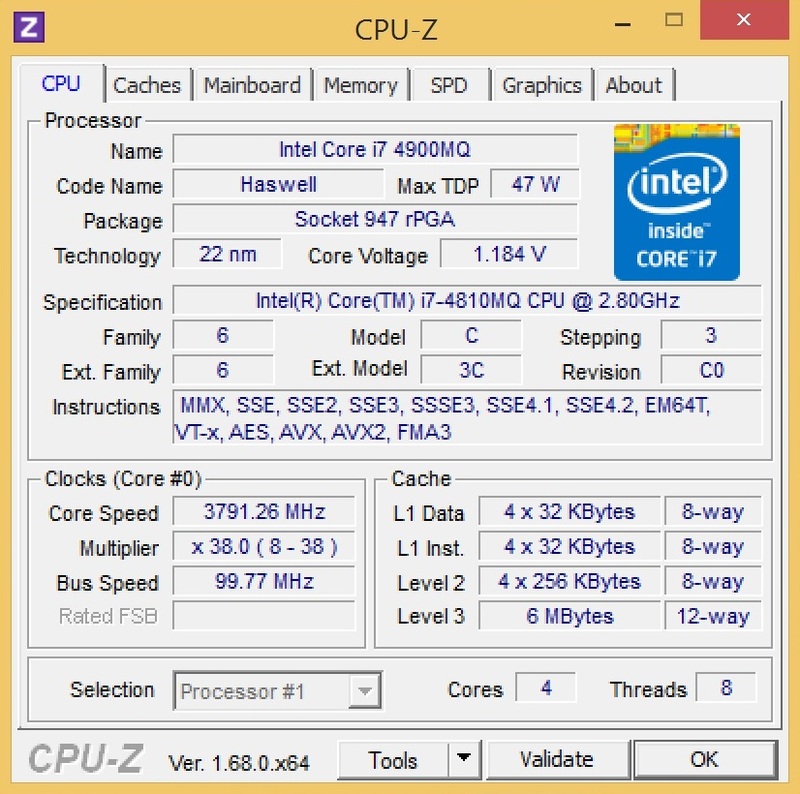 Instead of 2.7-3.7 GHz (Core i7-4800MQ), the reviewed Core i7-4810QM runs with 2.8-3.8 GHz. 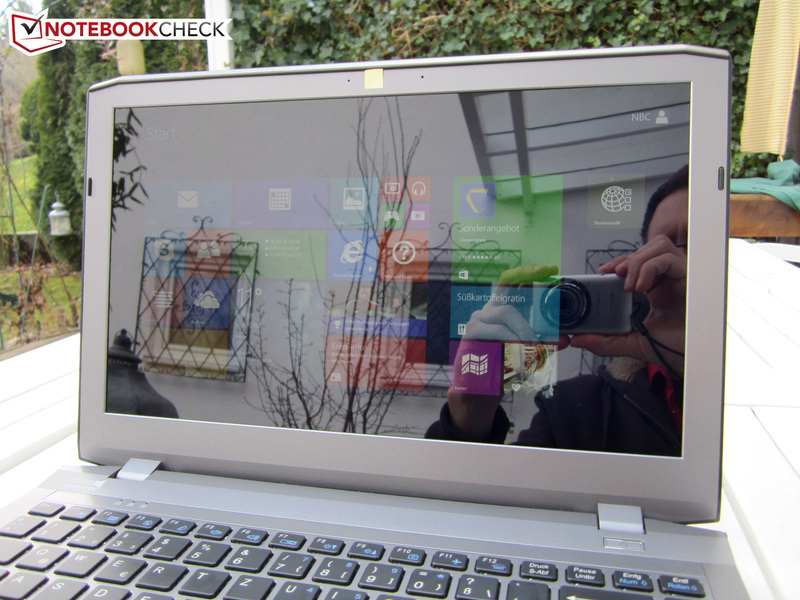 Thanks to the high clocks, the quad-core processor is one of the fastest notebook CPUs on the market. Six MB L3 cache are similar to the less expensive quad-core siblings i7-4700MQ (2.4-3.4 GHz) and i7-4702MQ (2.2-3.2 GHz), whereas the Core i7-4910MQ (2.9-3.9 GHz) is equipped with eight MB L3 cache. 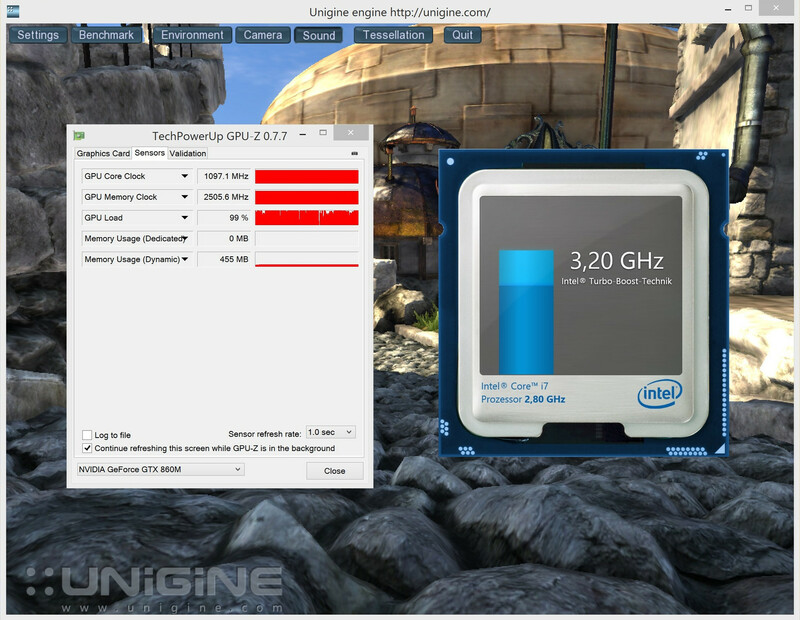 Intel specifies the TDP with 47 Watts. Similar to its siblings, the processor is produced in 22 nm and supports Hyperthreading, which means the CPU has four virtual cores and can execute up to eight threads simultaneously. 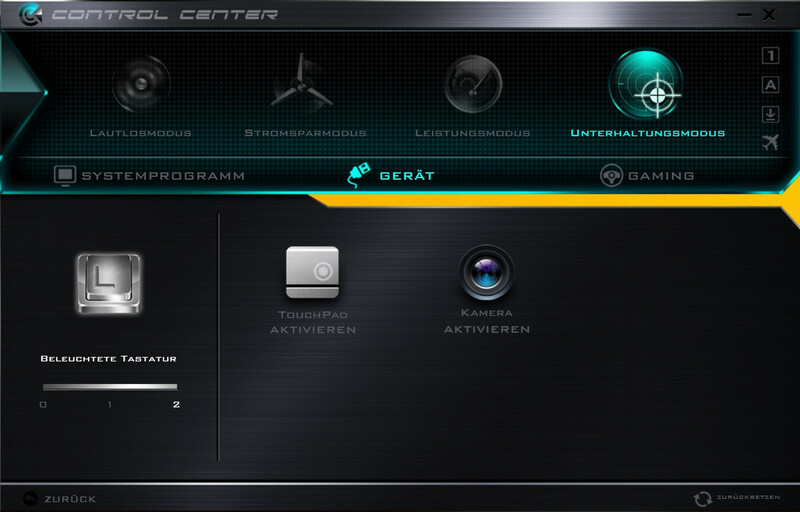 The integrated DirectX-11 GPU HD Graphics 4600 is used by the XMG P304 as well. Nvidia's Optimus technology switches between the integrated and the dedicated GPU depending on the application. The automatic switching ensures high performance and moderate power consumption. 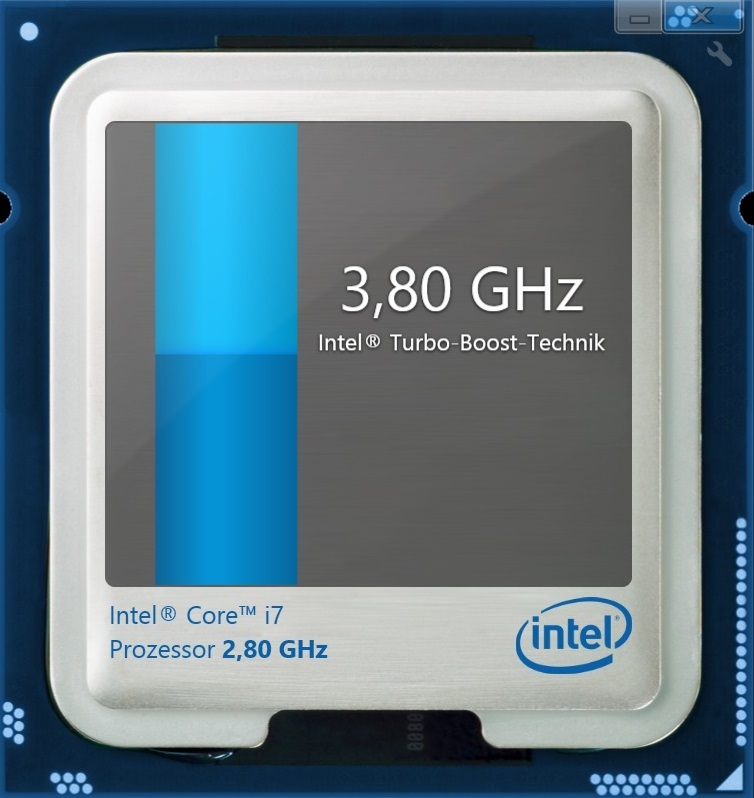 Our Core i7-4810MQ cannot completely utilize its Turbo Boost potential. While the clock is between 2.8 and 3.8 GHz in single-core benchmarks, the processor only manages up to 3.2 GHz in more demanding multi-core applications. 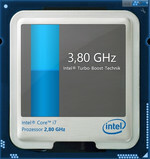 The maximum Turbo clock is 3.6 GHz according to Intel. 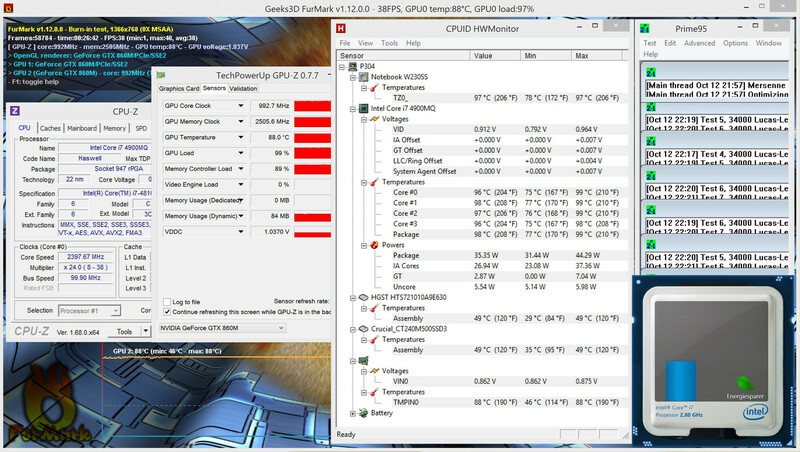 Our stress test with the tools FurMark and Prime95 (not very realistic) also resulted in a slight throttling to around 2.4 GHz, which means that the cooling system is pushed to its limit under maximum load. The limited Turbo Boost also affects some benchmark results. 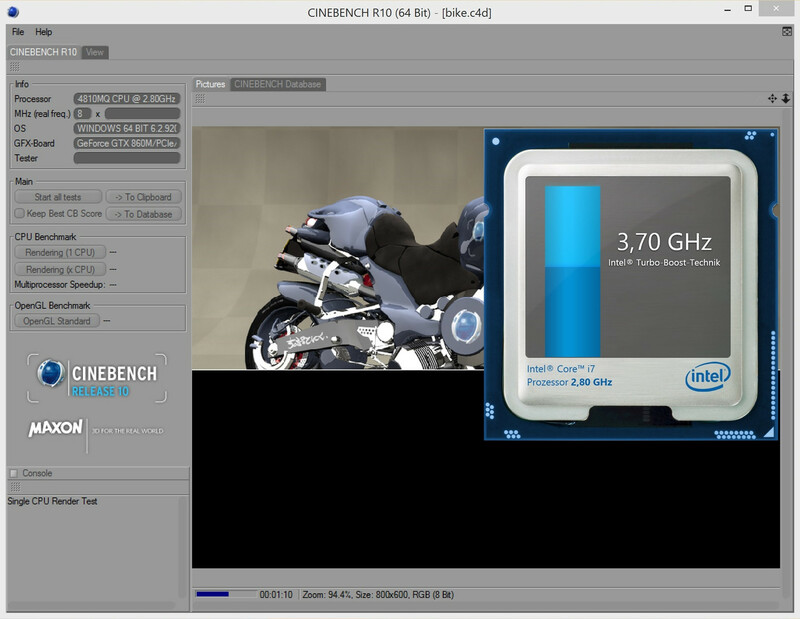 Everything is okay in the Single-CPU test of Cinebench R15, where the Core i7-4810MQ is around 9% faster with 151 points compared to the Core i7-4800MQ (139 points @ Alienware 17) and 14% faster than the Core i7-4700MQ (132 points @ Gigabyte P25W). 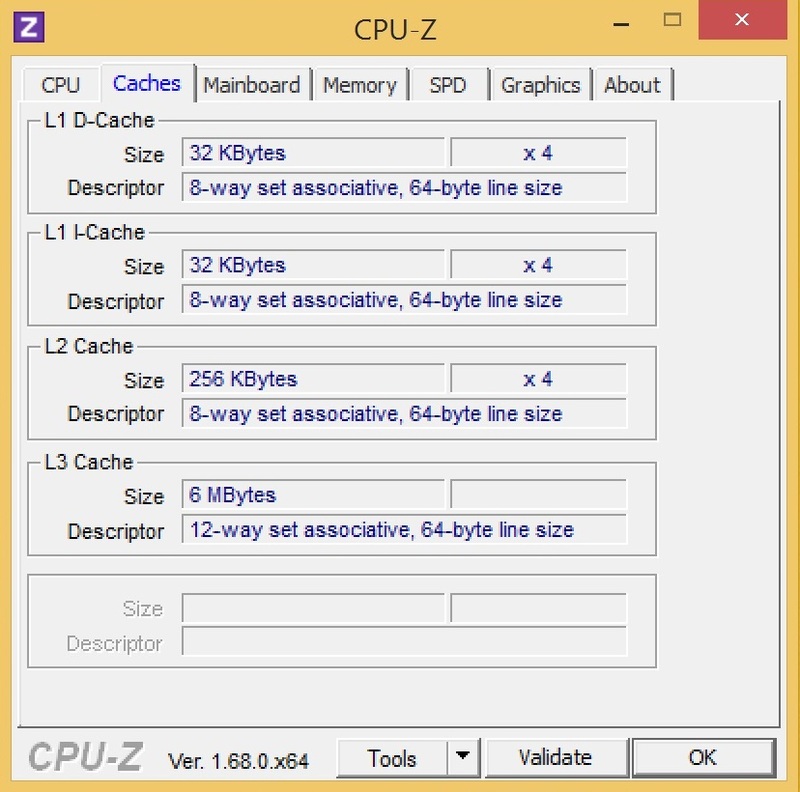 The quad-core cannot use its full performance in the Multi-CPU test. 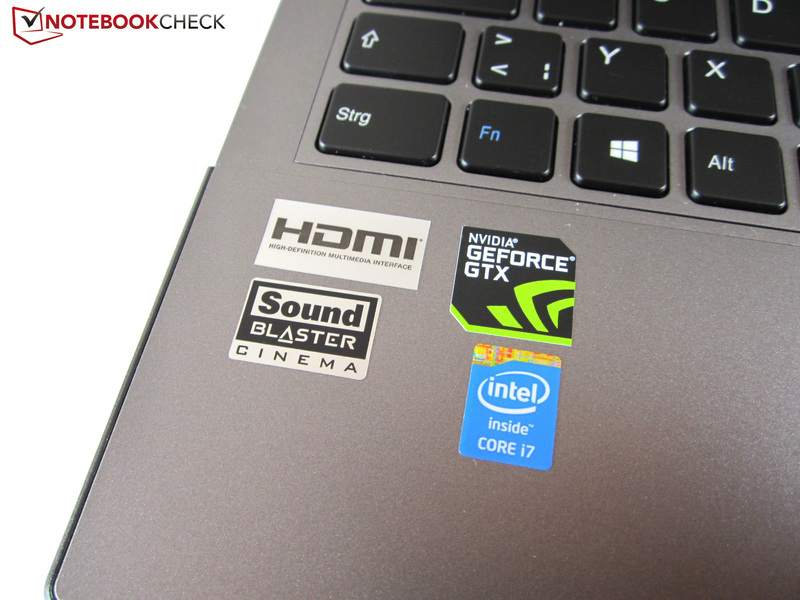 647 points remind us of a Core i7-4700MQ (642 points @ Lenovo Y510p) and Core i7-4700HQ (641 points @ Asus N56JR), respectively. 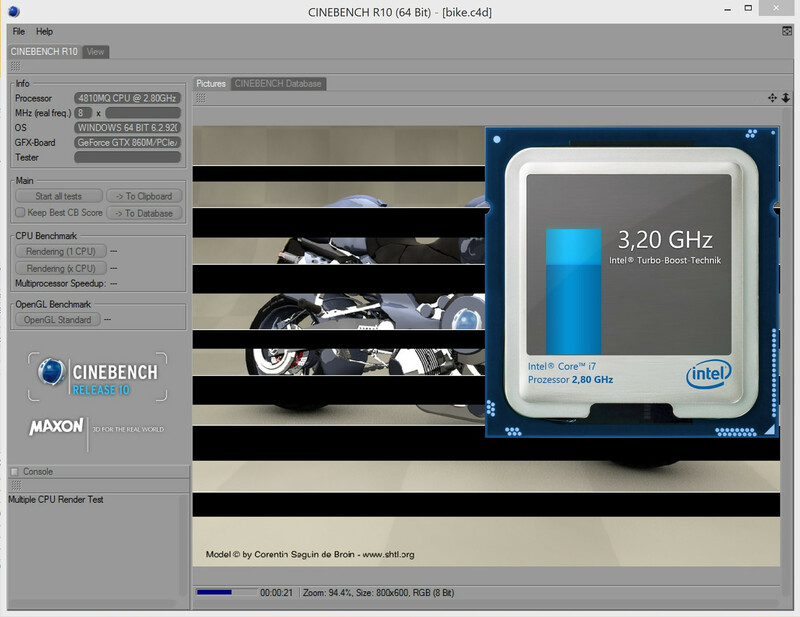 The clock is not that important during 3D applications; gamers rarely benefit from the high-end CPUs. One of the biggest improvements is certainly the graphics card. Instead of the GeForce GTX 765M, which is still based on the Kepler architecture, the W230SS barebones is equipped with the GeForce GTX 860M and the new Maxwell technology (GM107 chip). While the manufacturing process remained the same (28 nm), the power efficiency was significantly improved. Despite less shader units (640 vs. 768 CUDA cores) and transistors (1,870 vs. 2,540 million), the GeForce GTX 860M is supposed to be faster. Early benchmarks even indicated a higher performance than the GTX 770M, which has 960 CUDA cores and 3,072 MB GDDR5 video memory (128-bit interface). The GTX 860M is very similar to the GTX 765M with 2,048 MB GDDR5-VRAM and a 128-bit memory interface. 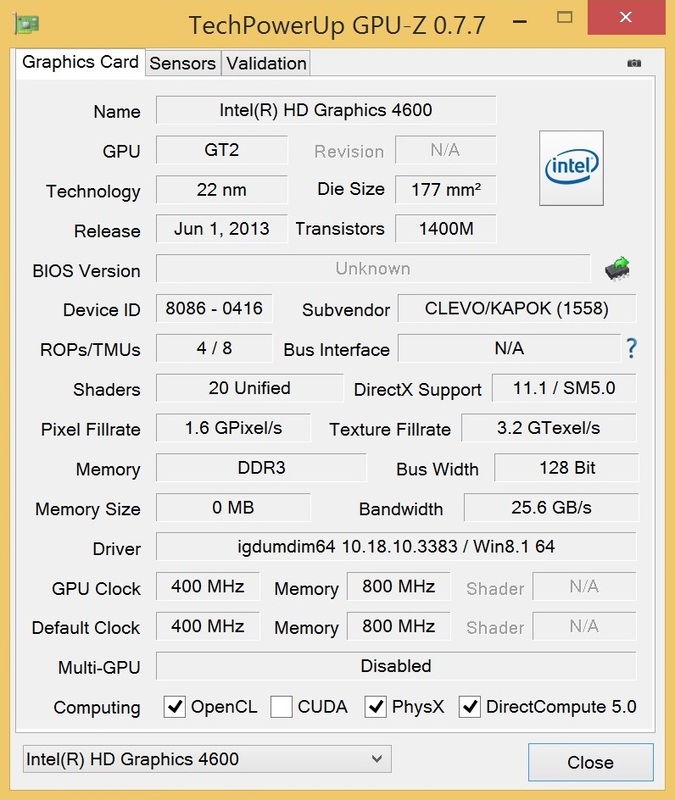 However, Nvidia allows a very high clock for the Maxwell GPU. 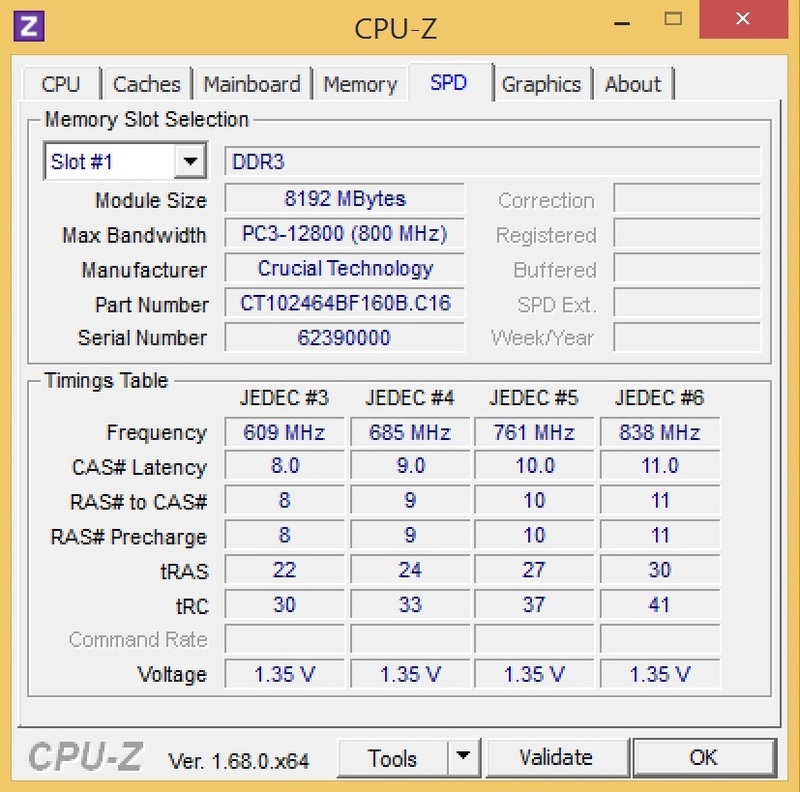 1,029 MHz for the core and 2,500 MHz for the memory are much faster than the older generations. 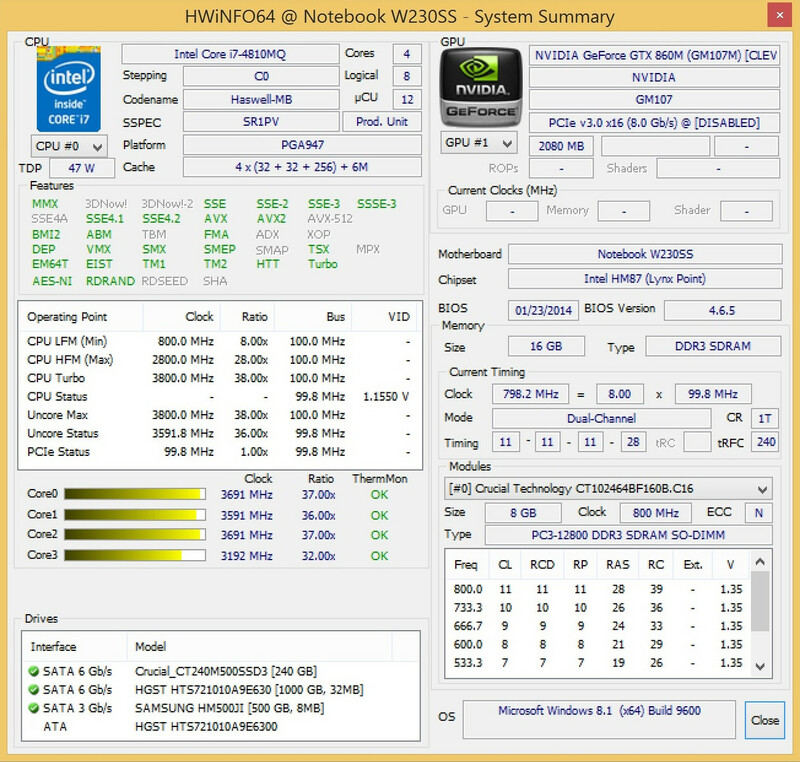 The GTX 765M only runs with 850/2,000 MHz (GTX 770M: 811/2,000 MHz). The core of the GTX 860M can even run with up to 1,097 MHz via GPU Boost. We did not test the new features Battery Boost (longer battery runtimes during gaming), GameStream (streaming from the notebook to other devices) and ShadowPlay (Full HD video capturing with buffer). The first GPU tests show that Nvidia did not promise too much; the GeForce GTX 860M manages an excellent result of 3,940 points in the current 3DMark Fire Strike test. 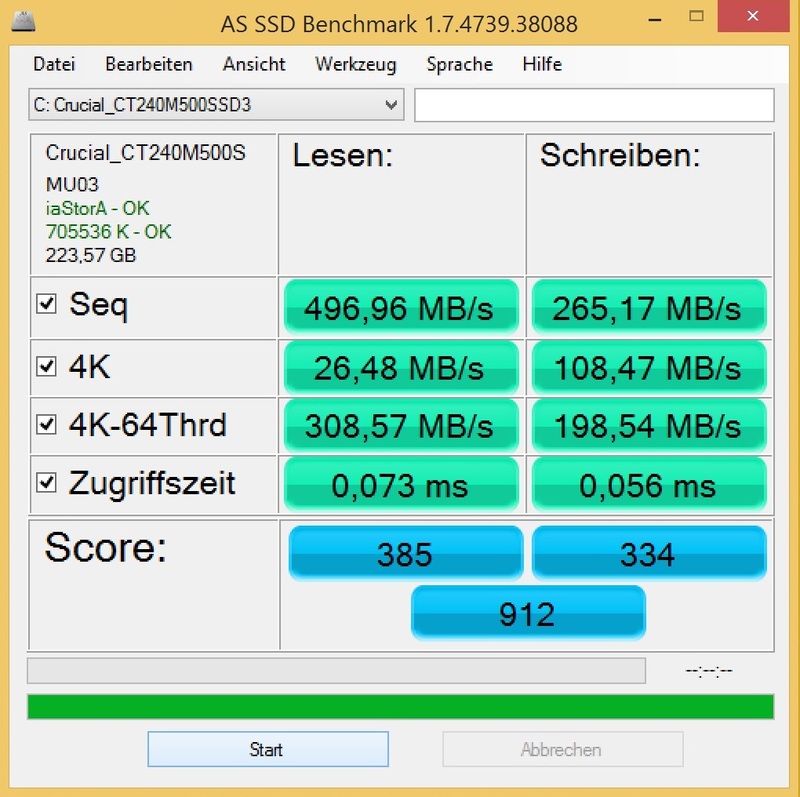 This is not only faster than the GTX 765M (2,768 points @ Schenker XMG A503), but also faster than the GTX 770M (3,519 points @ Medion Erazer X7825). 42 and 12% more, respectively, are impressive when you consider the specifications and show the potential of the Maxwell architecture. The GTX 860M is only beaten by one model from the 700-series, the GTX 780M (5,465 points @ Alienware 17). Unigine Heaven 3.0 also confirms a good price-performance ratio for the new chip. An average frame rate of 49.6 fps with 1920x1080 pixels and normal tessellation were impossible for the W230ST barebones (36.3 fps @ One K33-3E), the GTX 770 on the other hand is on a similar performance level (49.5 @ One K73-3N). Until the launch of the GTX 880M, the fastest GPU is the GTX 780M, which is much more expensive, larger and harder to cool (76.0 fps @ Schenker XMG P703, dual-GPU notebooks not included). 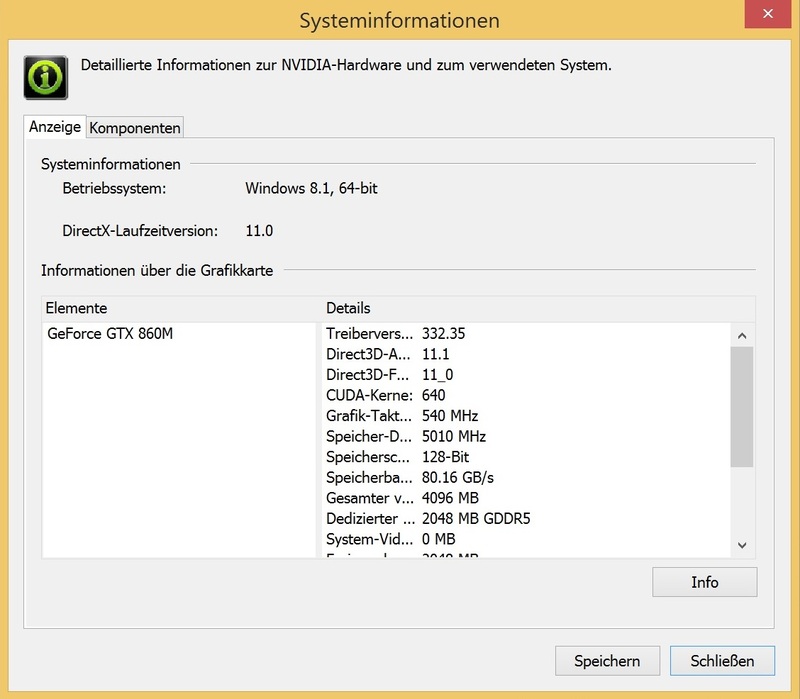 All GPU benchmarks were performed with the preinstalled driver 332.35. 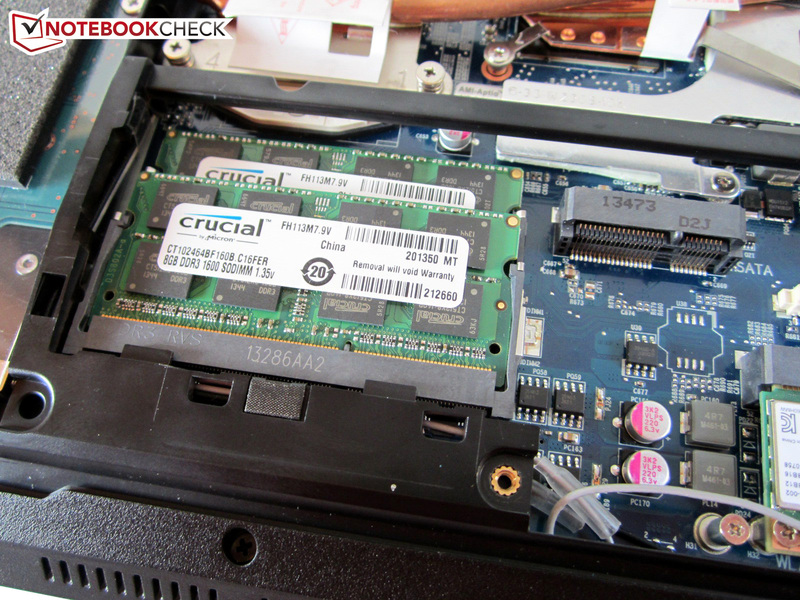 Schenker equipped our review unit with a 240 GB mSATA SSD in combination with a 1,000 GB hard drive. Let us start with the Solid State Drive. 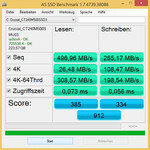 The Crucial M500 CT240M500SSD3 is certainly not a bad choice when you look at the benchmark results. 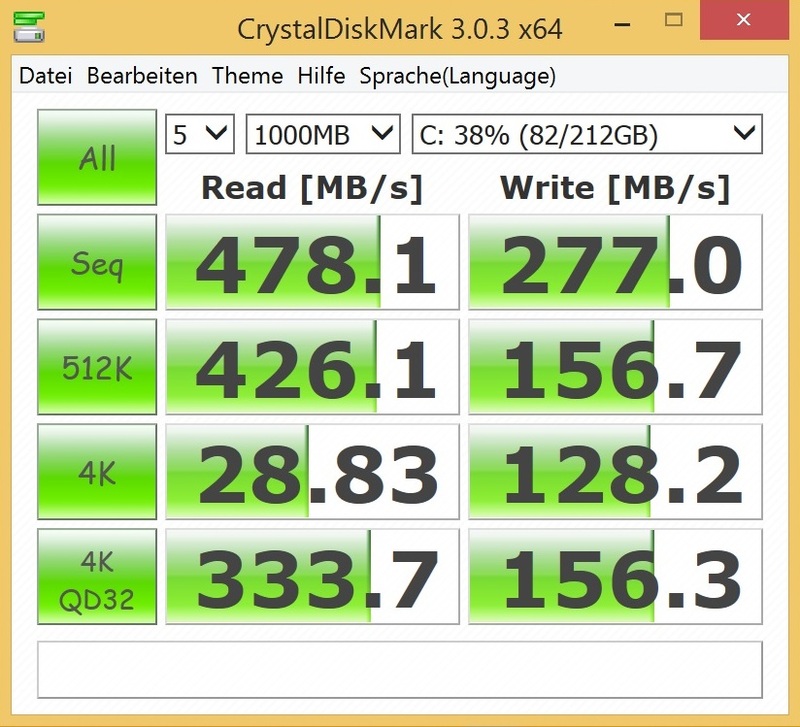 497 MB/s sequential read and 265 MB/s sequential write (AS SSD benchmark) are pretty good, even though other mSATA drives like the Liteonit LMT-256M6M manage higher write speeds (399 MB/s @ Alienware 14). Thanks to the decent performance with small data there is however not a big difference in the overall score. 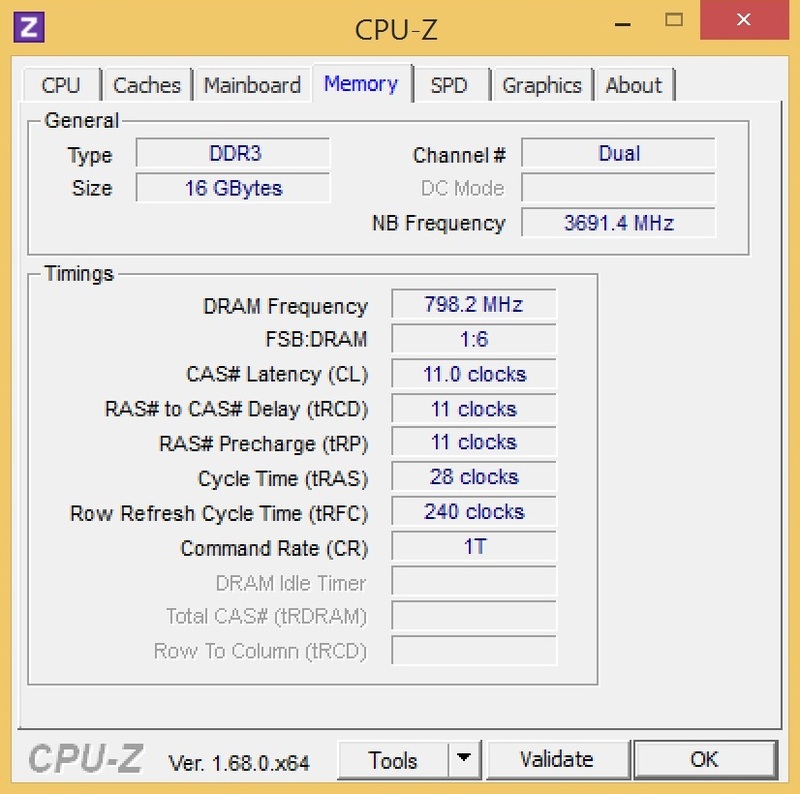 The access time is also excellent with 0.073 and 0.056 ms (read/write). The conventional hard drive can obviously not keep up with the SSD, but the HGST Travelstar 7K1000 HTS721010A9E630 is certainly a nice addition. 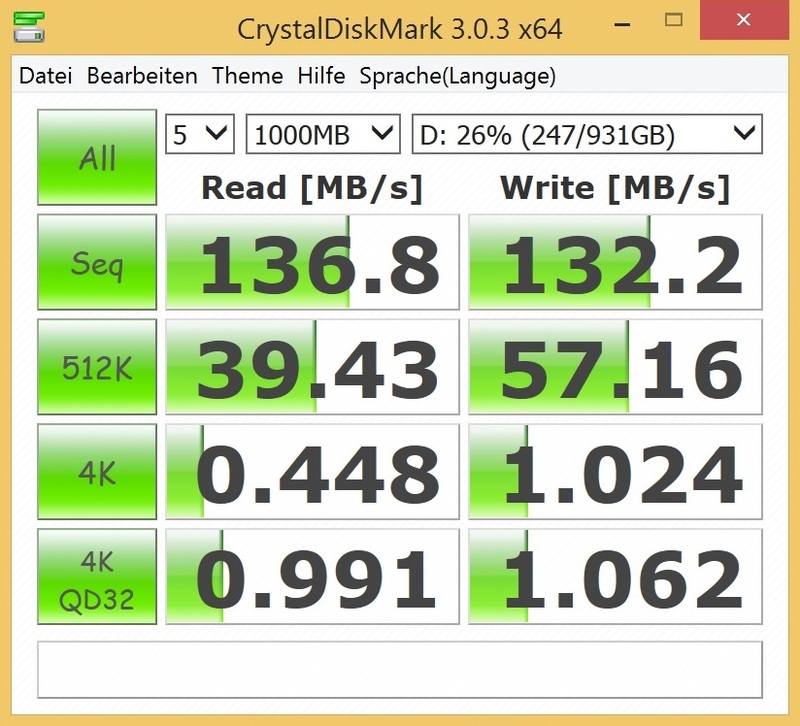 Sequential read and write speeds of more than 130 MB/s (CrystalDiskMark) are much faster than most HDDs. Besides the generous capacity, it also works at a fast 7,200 rpm. 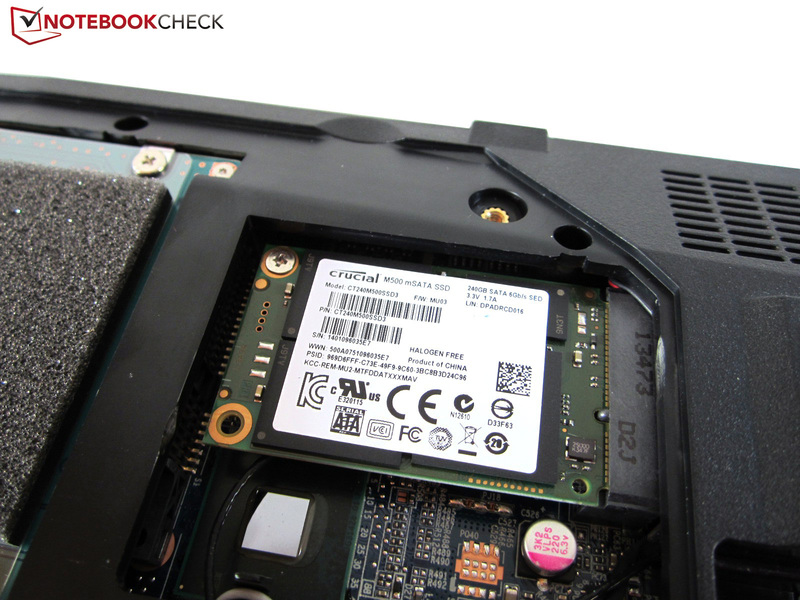 This means you cannot go wrong with an SSD/HDD combination if you have a lot of data. 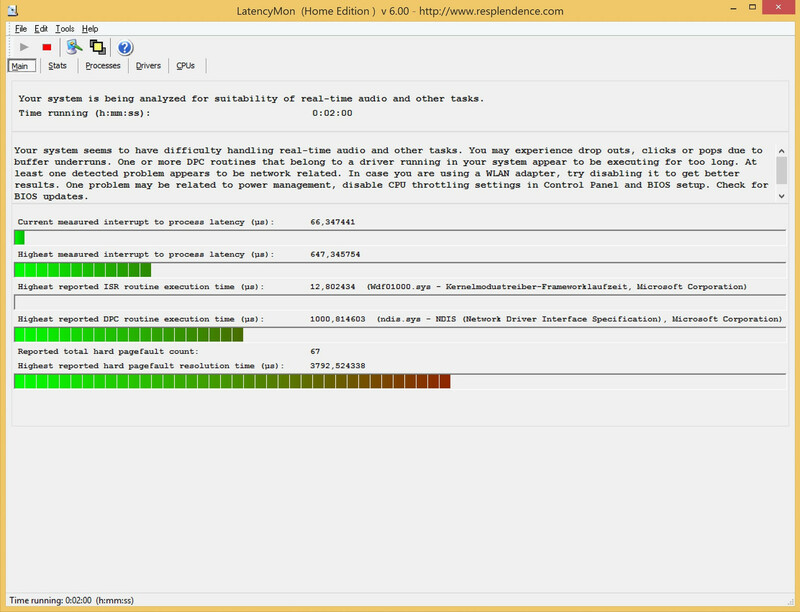 Our system benchmarks show that the hardware combination is very well balanced. 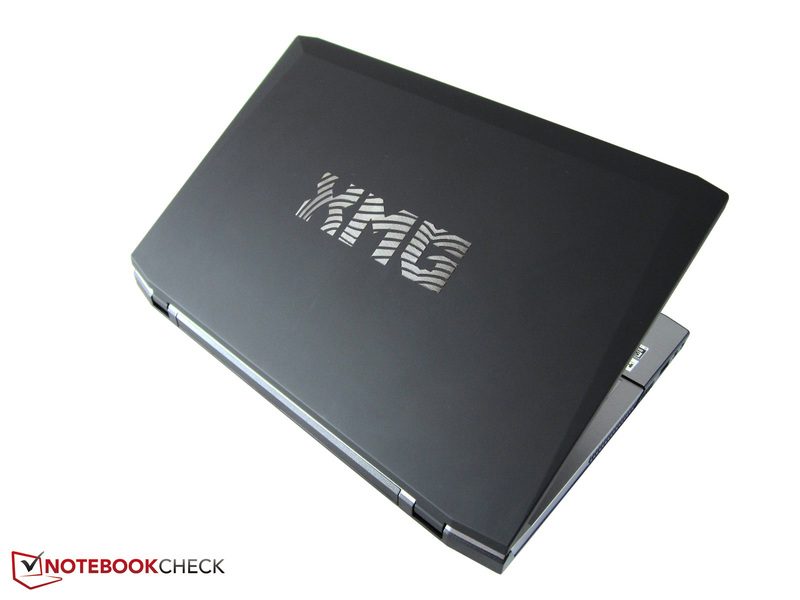 The XMG P304 is very fast with 5,958 points in PCMark 7. 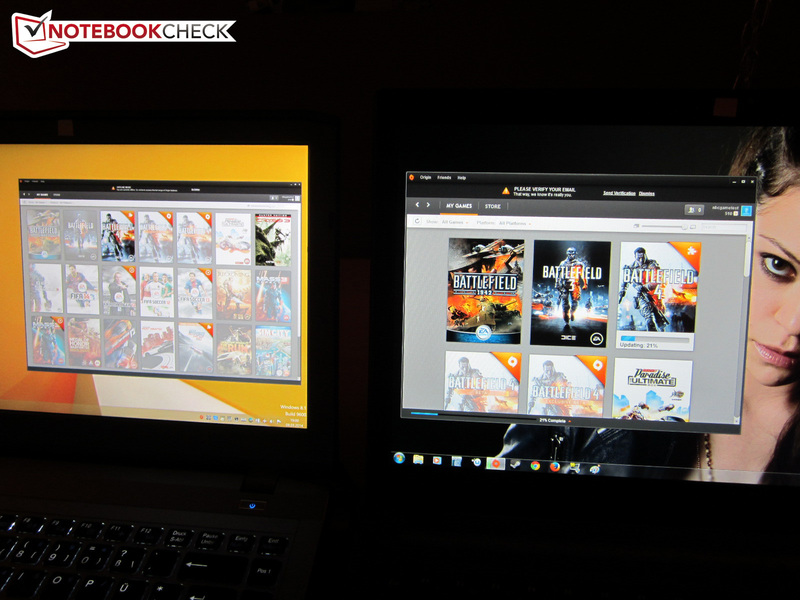 Other gaming devices like an MSI GS70 Stealth (SSD-RAID) or Schenker XMG P723 (GTX 765M SLI) are on a similar level. 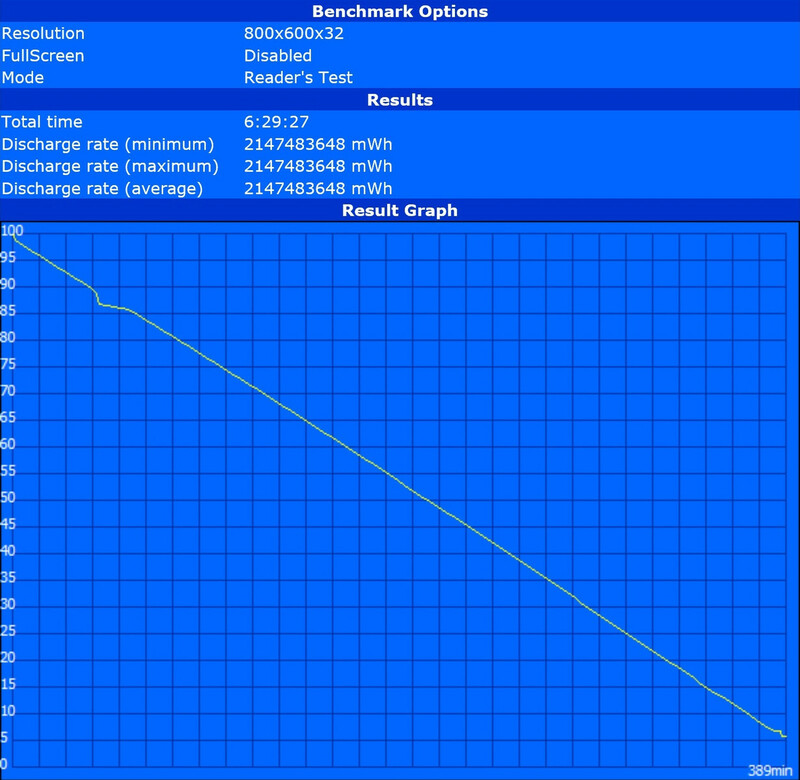 Our chart below the verdict shows that the GeForce GTX 860M is surprisingly good with 1920x1080 pixels. It is not always powerful enough for the maximum details and very high anti-aliasing modes, but high settings are usually no problem. 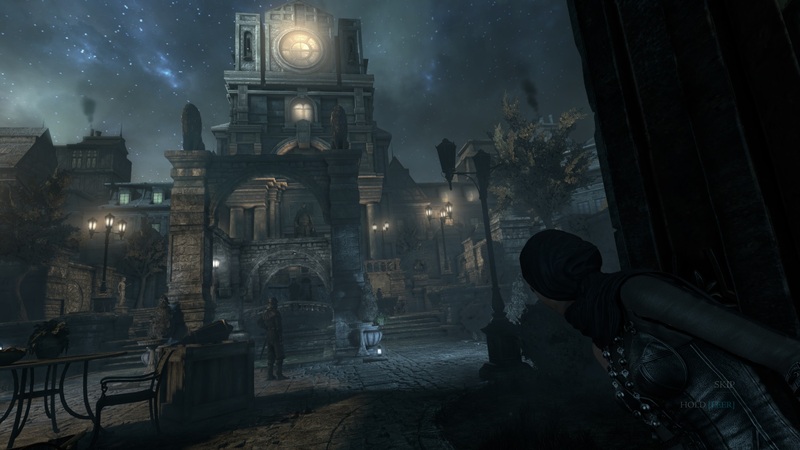 Less demanding titles like GRID 2, Tomb Raider and Bioshock: Infinite can be enjoyed with the highest settings. The GTX 860M is around 40% faster than the GTX 765M and 20% behind the price-performance champion Radeon HD 8970M when we combine all benchmarks. Many results are not up to date anymore (different drivers) and some games got performance updates (for instance Dota 2), so these results should only be a rough assessment. It is however pretty clear that the GTX 770M got a more frugal and often faster replacement, and the Maxwell chip looks like a quantum leap over the old GTX 765M in a direct comparison. The GTX 860M is not particularly suited to the native resolution of 3200x1800 pixels. Battlefield 4 was only playable with low settings in our test (34 fps @ low, 28 fps @ medium). 1920x1080 pixels increase the frame rate by around 400%. There are not many differences to the old W230ST barebones in terms of system noise. 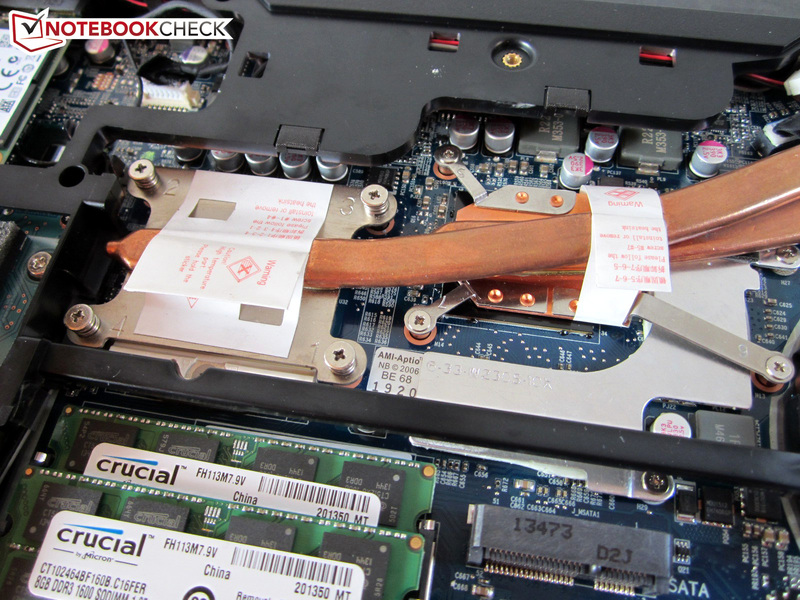 The fan is often deactivated during idle and you will only hear the hard drive, at least if you configured one. 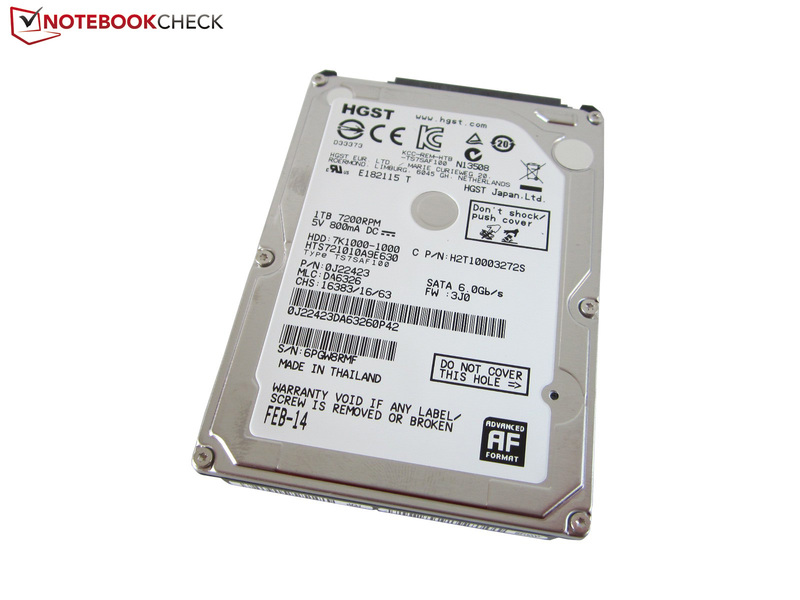 HGST's Travelstar 7K1000 is not a very quiet drive with 33-34 dB(A), but it will be deactivated after a while if you use an SSD for the Windows operating system, so the notebook will be completely silent. It is unfortunate that the cooling solution sometimes gets unnecessarily loud during normal tasks like MS Office, video playback or web browsing. The small jumps to almost 40 dB(A) are clearly audible and likely annoying to some users. Clevo is just not able to implement a good fan control over the last years. The barebones manufacturer is usually too focused on low temperatures. It will get really loud during 3D operation. 3DMark 06 resulted in an average value of 49 dB(A), which can be disturbing if you do not use headphones or with a low speaker volume. A maximum of 54 dB(A) in our stress test is pretty high as well. All in all, you should not be too sensitive to noise when you use the XMG P304, but the fan behavior is at least pretty constant under load. 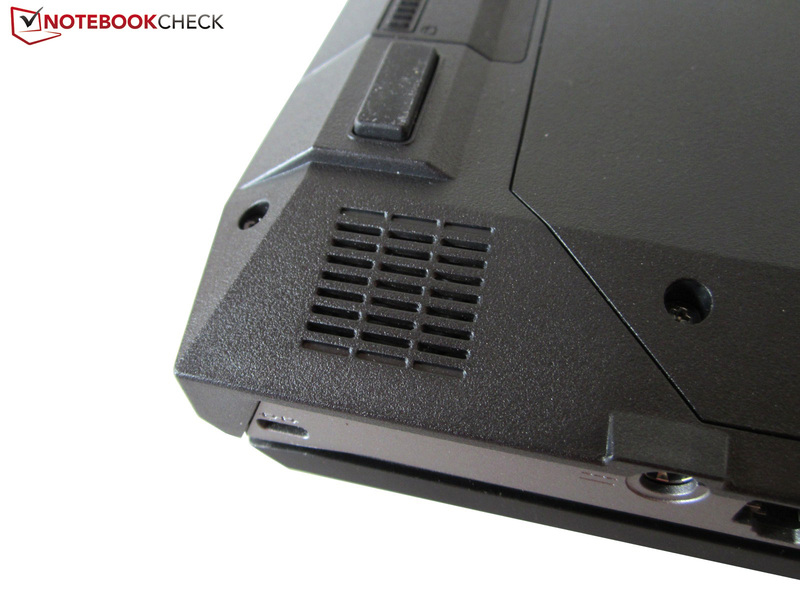 It is bold to put high-end components into a 13-inch chassis, but there are consequences. The biggest drawback is the temperature development. We can already determine a noticeable warming of the base unit during idle. Almost 33 °C (91.4 °F) at the top and 32 °C (89.6 °F) at the bottom are not a good sign for 3D applications, and our suspicion is confirmed: We can measure more than 50 °C (122 °F) at the back after our one-hour stress test (FurMark + Prime95). An average value of 49 °C (120.2 °F) (top) and 45 °C (113 °F) (bottom), respectively, does not improve the rating, either. Since the One K33-3E was similarly warm despite the less powerful processor, we can speculate that the GTX 860M does not produce more heat than the GTX 765M. However, the ambient temperature was different (24 vs. 28 °C; 75.2 vs. 82.4 °F), which can affect the results as well. Speaking of components: While the Core i7-4810MQ almost reaches 100 °C (212 °F) under maximum load, the GPU levels off at 88 °C (190.4 °F). These results should be a bit higher during the summer. (-) The average temperature for the upper side under maximal load is 48.5 °C / 119 F, compared to the average of 32.9 °C / 91 F for the devices in the class Gaming. (±) In idle usage, the average temperature for the upper side is 32.6 °C / 91 F, compared to the device average of 32.9 °C / 91 F.
Similar to most Clevo barebones, the W230SS does not produce a convincing sound. The two Onkyo speakers, which are located at the back of the bottom, sound pretty tinny, muffled and imprecise. 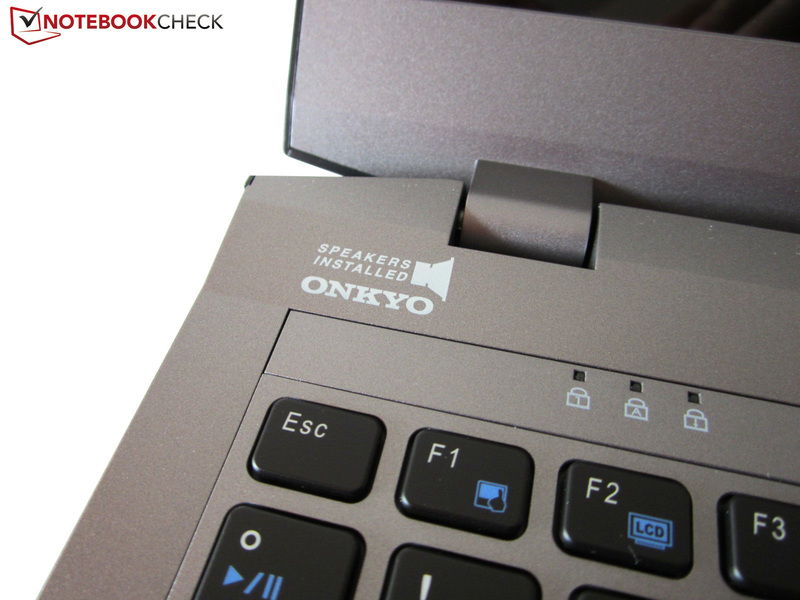 The Sound Blaster Cinema technology does improve the sound quality noticeably, but the result is still not very good. It does not matter if you activate the mode Music, Movie or Game. Multimedia contents are not very enjoyable without a headset or external speakers. Clevo should improve the performance in this category. The power consumption suggests an efficiency improvement of the new Maxwell chip as well. Even though the One K33-3E – as we mentioned before – uses a more frugal processor (37 vs. 47 Watts TDP), the XMG P304 only consumed 91 instead of 94 Watts on average in 3DMark 06. The situation changes a bit in our stress test, but the difference between 135 and 132 Watts is just marginal. Idle operation shows bigger differences; the W230SS only needed 10-21 Watts while we determined 16-27 Watts for the W230ST. 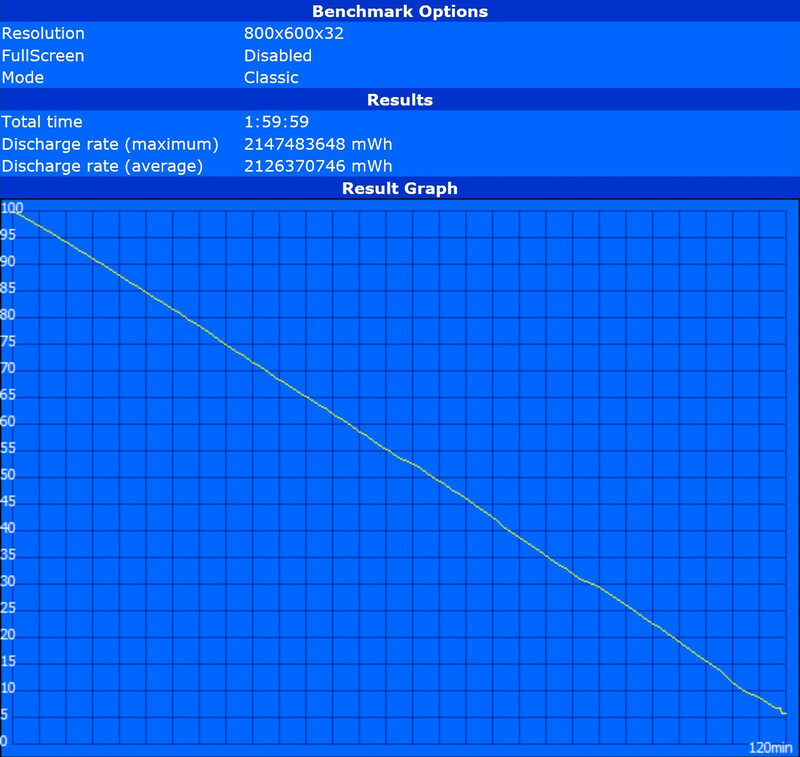 The good battery runtime is another indicator of an improvement coming from the use of the Maxwell chip. 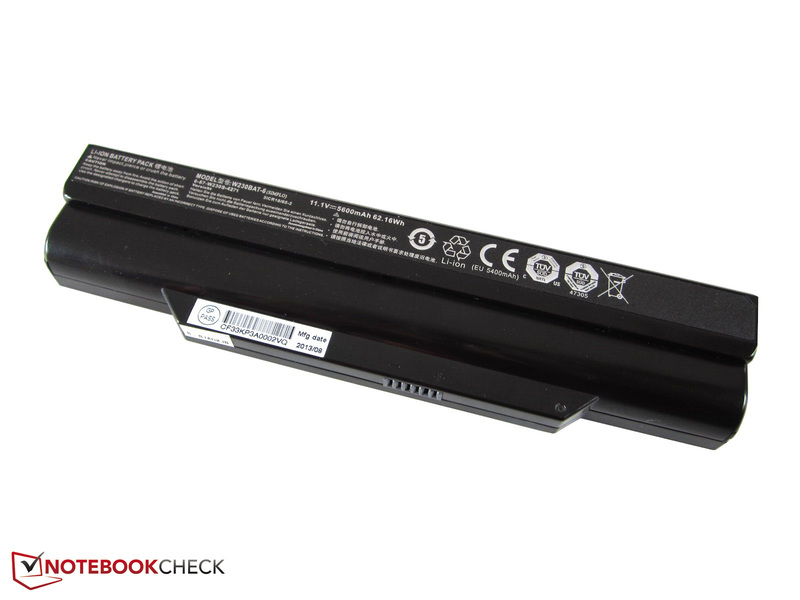 An idle runtime of 6.5 hours (minimum brightness, maximum energy-saving features) is neither managed by the Razer Blade 14 (up to five hours @ 71 Wh), the Alienware 14 (up to four hours @ 69 Wh) nor the Gigabyte P34G (up to three hours @ 48 Wh). 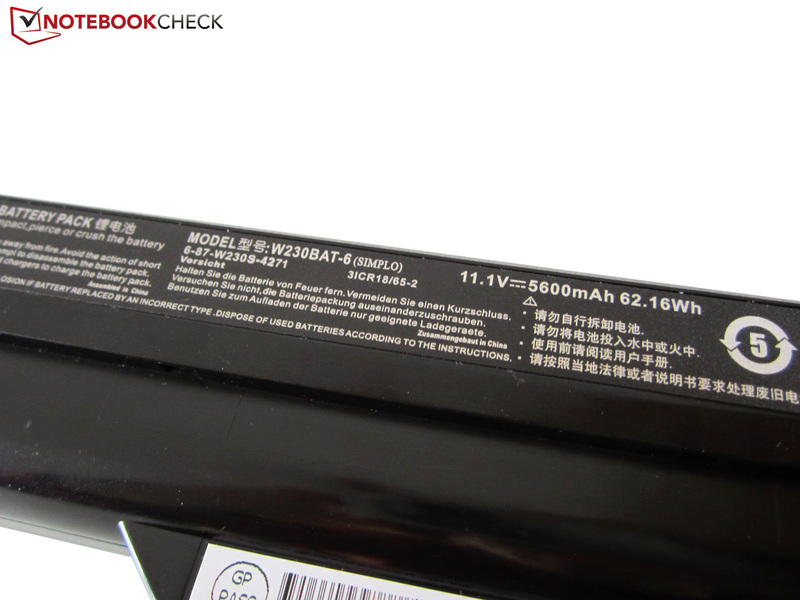 Moreover, the XMG P304 does not even have a very large battery. 62 Wh are just decent, a bigger capacity would have increased the runtimes even further. Almost 5 hours of HD video playback (medium luminance, moderate energy-saving features) are not bad, either. 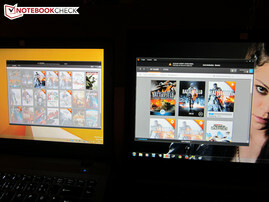 Gaming with the 13-inch device is possible for around two hours without a socket (14-inch competition: up to 1.5 hours). Unfortunate: The performance is reduced by around 60% on battery power (tested with Battlefield 4). Longer battery runtimes, reduced power consumption and more performance: The W230SS barebones leaves a much better impression than its predecessor, thanks to the Maxwell GPU. Clevo did not put any work into the case, but the optimizations are still obvious. Besides the efficient GeForce GTX 860M (Nvidia will launch an additional Kepler version) we also like the razor-sharp QHD+ display. The glossy panel is really convincing if you can live with the reflections, the limited color space and the mediocre black value. 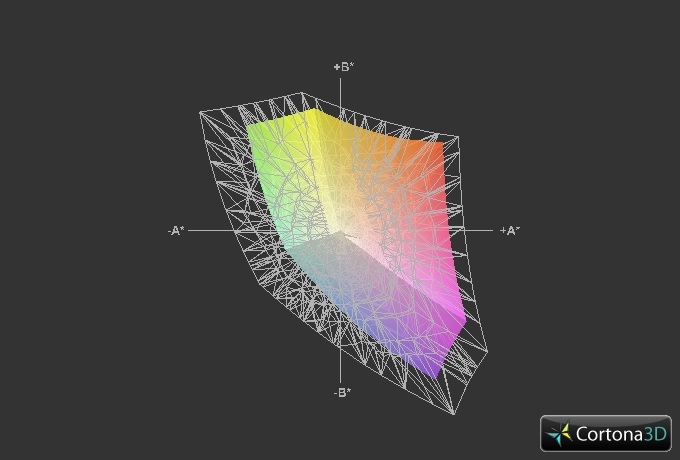 It is bright, has a high contrast and natural colors: This is how we would summarize the picture performance. You should, however, be aware that many elements are extremely small. Small is also the correct term for the 13-inch chassis. 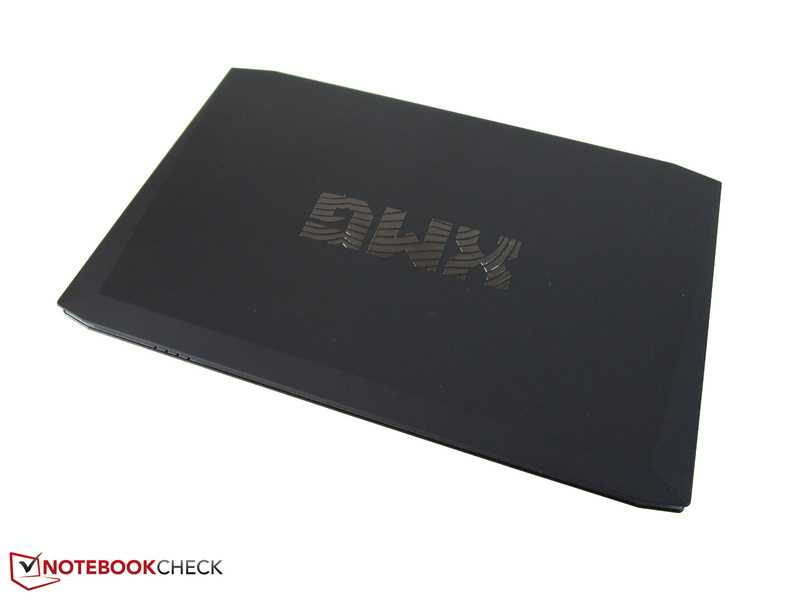 Even though the notebook could be a bit thinner for our taste, it is still very comfortable to carry around. There is also not much criticism with the port variety, input devices, maintainability and upgradability. 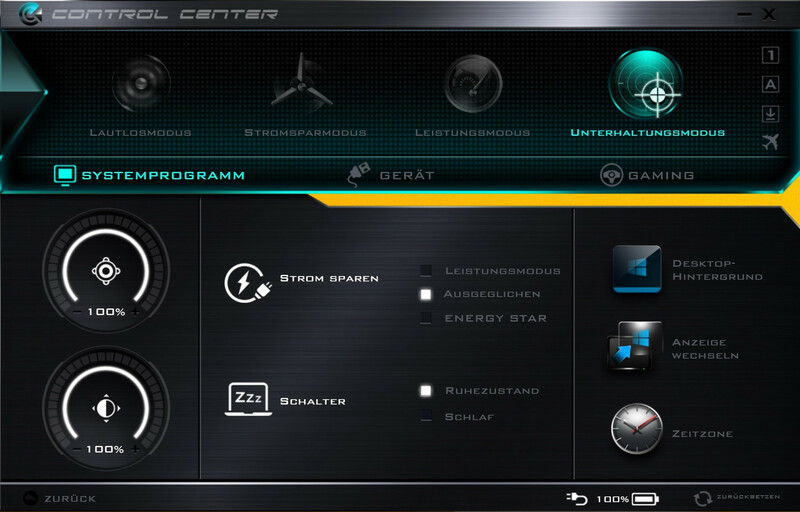 The sound and the fan control, in particular, require some improvements. The occasional rpm increase of the fan is not necessary. Users will have to live with high temperature and noise development under load in general, but the XMG P304 is still a good choice for gamers who like to travel. In Review: XMG P304. Review unit courtesy of Schenker Technologies. 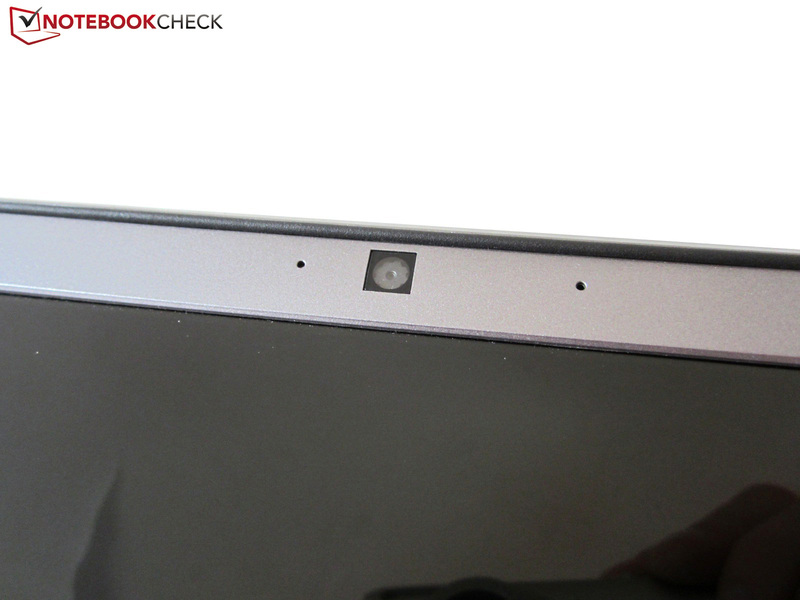 The 13-inch notebook appears a bit shy from the outside. More color on the inside. ...but the build quality is still pretty good. Nothing changed in regard to the design compared to the XMG P303. The device still weighs around two kilograms (~ 4.4 lbs). New highlight is the colorful QHD+ display. Similar to most Clevo barebones you can access all components. The XMG logo is just glued on. ...and the same applies for some ports. ...and can be removed very quickly. 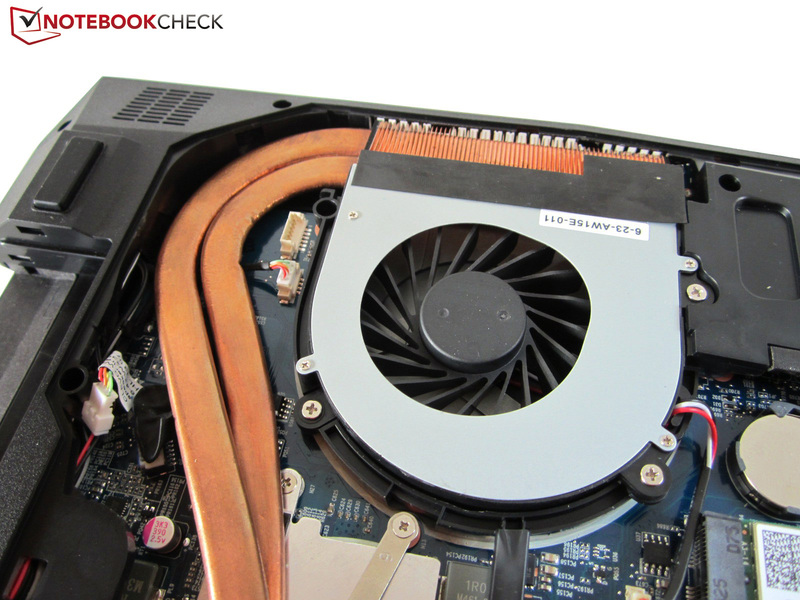 The fan is attached to a cooling solution with two heat pipes. The operating system is optionally installed on a Solid State Drive. You can also choose between different wireless modules. CPU on the left, Nvidia GPU on the right. Next to the two memory slots is a second mSATA slot. A 2.5-inch bay is available as well. The reviewed TB HDD runs at 7,200 rpm. Webcam and microphone in the top of the display frame. ...and the Sound Blaster Cinema technology from Creative. ...and easy to read thanks to the large lettering. The numpad (blue) can be activated via Fn key. 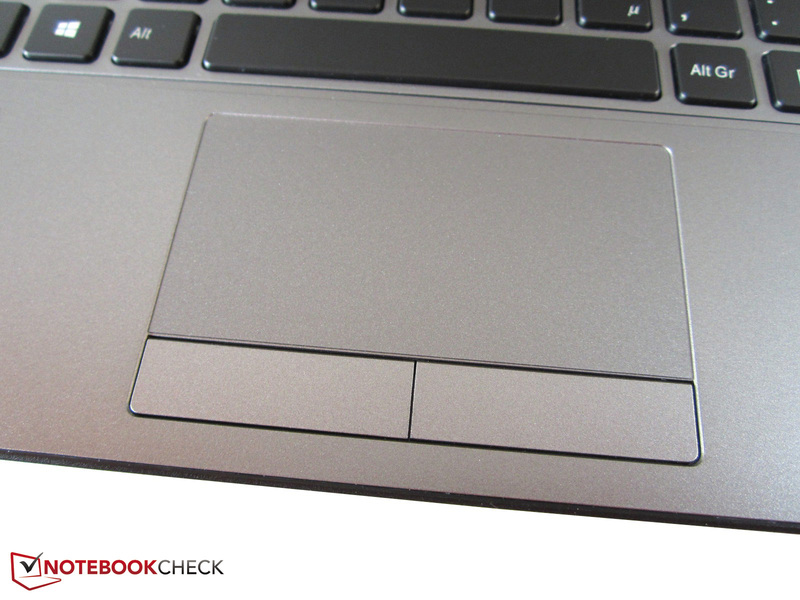 We are not completely convinced by the touchpad. 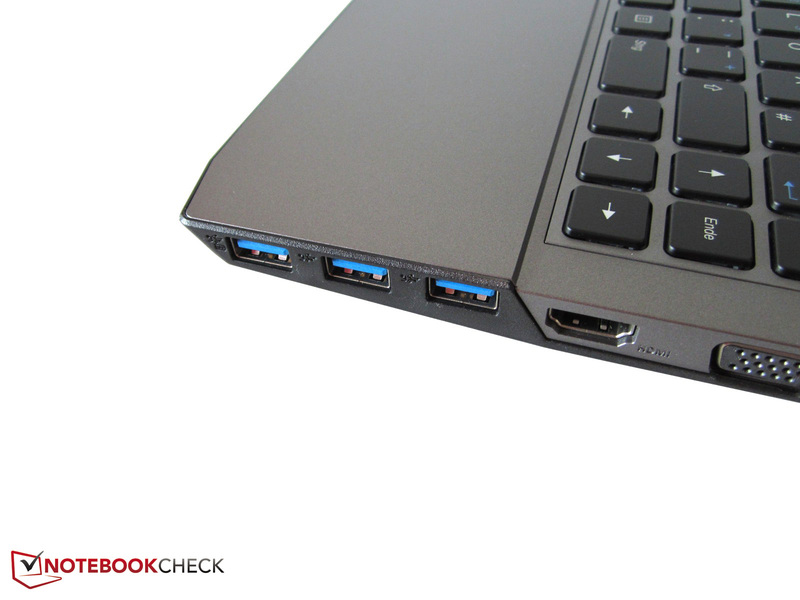 All three USB 3.0 ports are next to each other. We would have preferred the power connector at the back. The stereo jacks are also pretty far at the front. Card reader with support for six standards. The speakers are hidden at the back. PSU with a height of around 2.5 centimeters. The Maxwell architecture is as good as expected. 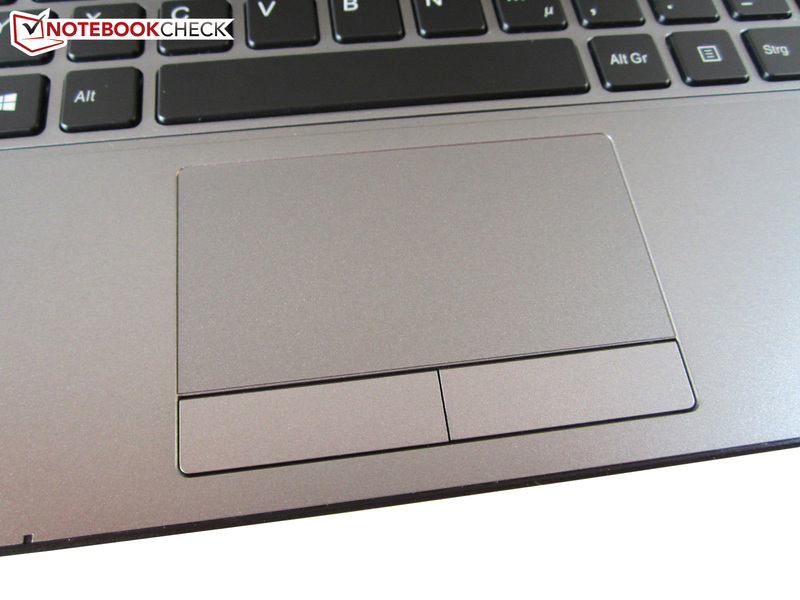 A bigger touchpad, better fan control and a more sophisticated port layout. The speakers could be better as well. A QHD+ panel inside a 13-inch chassis? Not every manufacturer would do that. 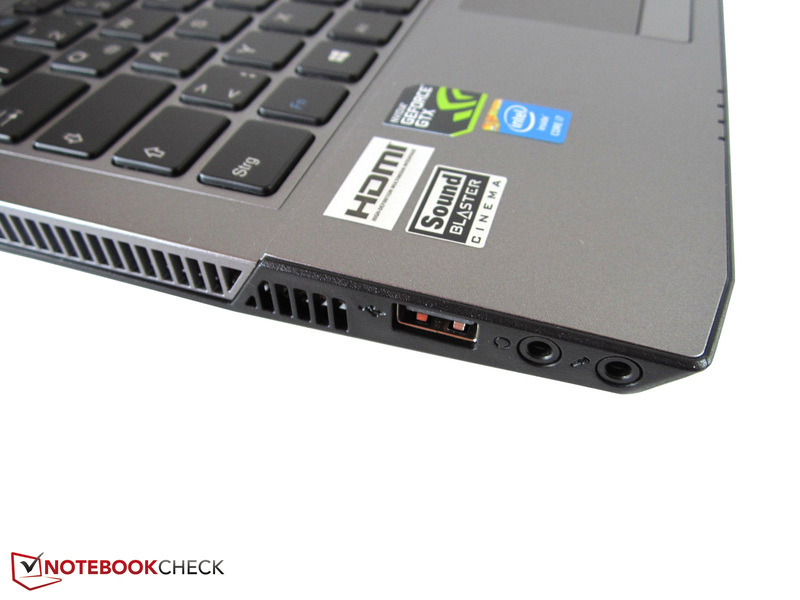 Small high-end notebooks with a lot of GPU performance like the MSI GE40, Razer Blade 14, Gigabyte P34G or Alienware 14.